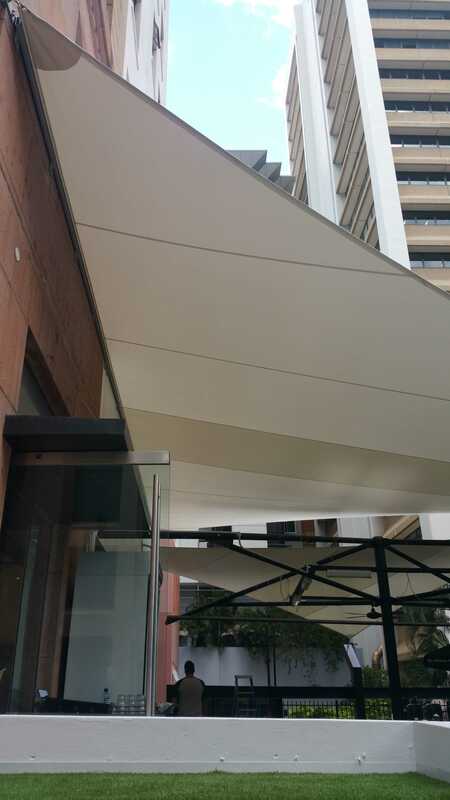 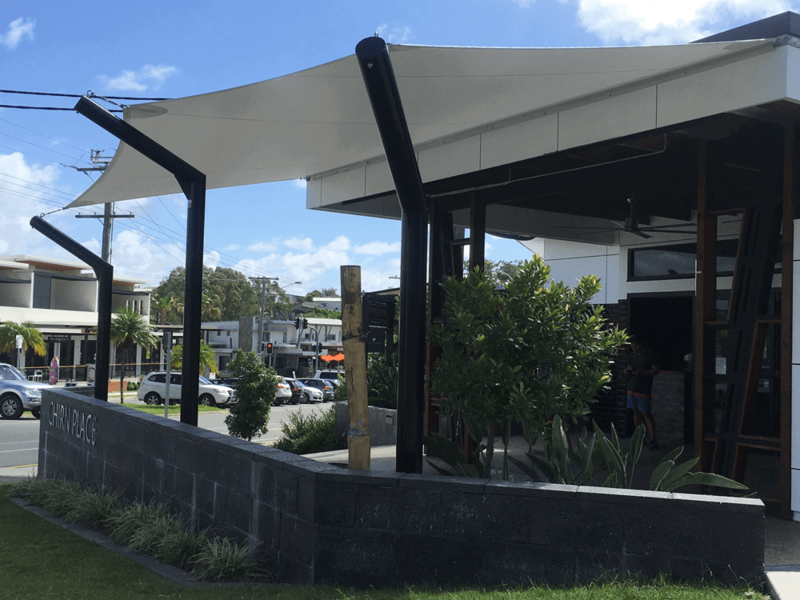 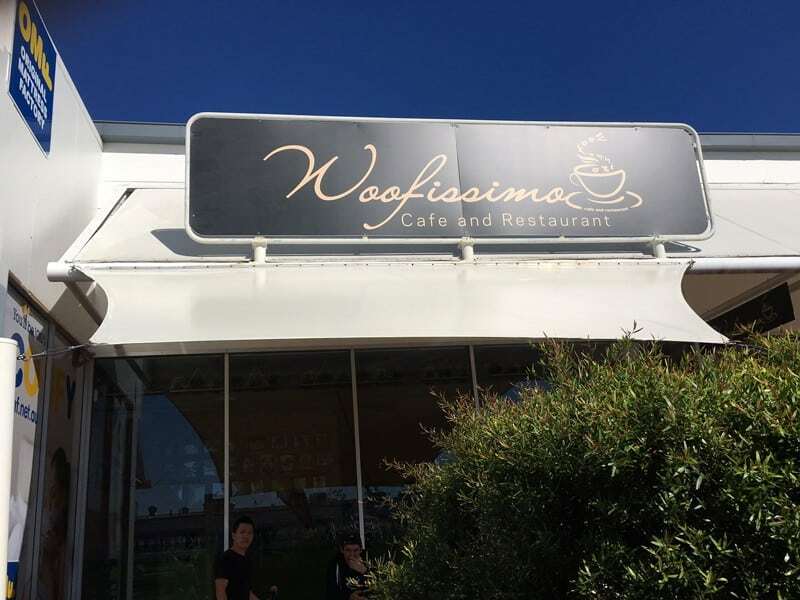 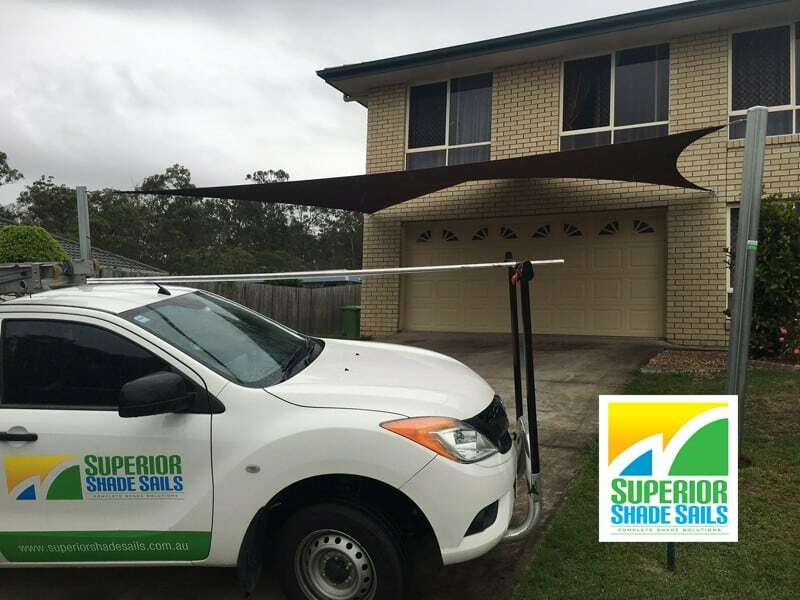 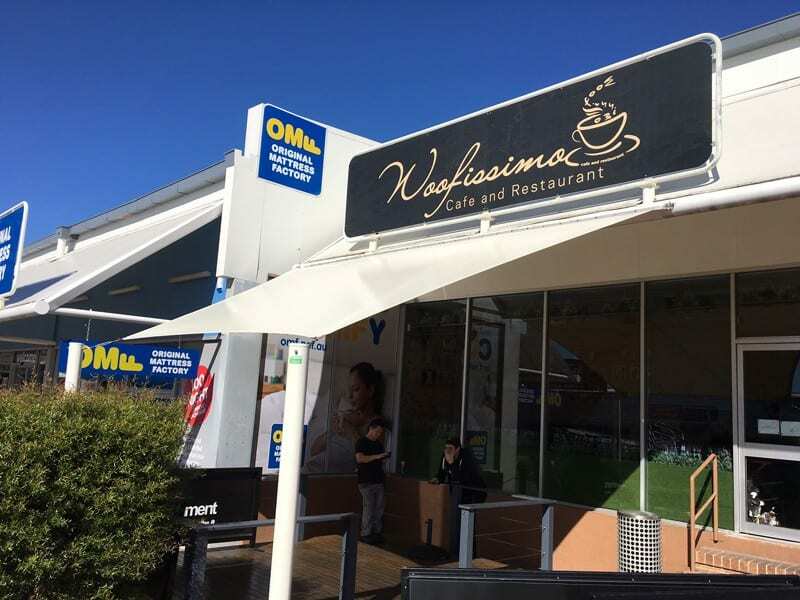 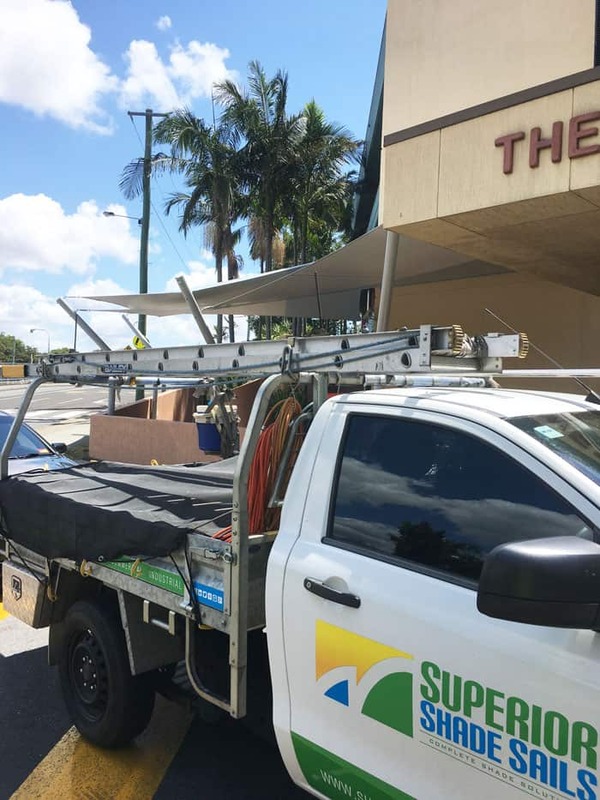 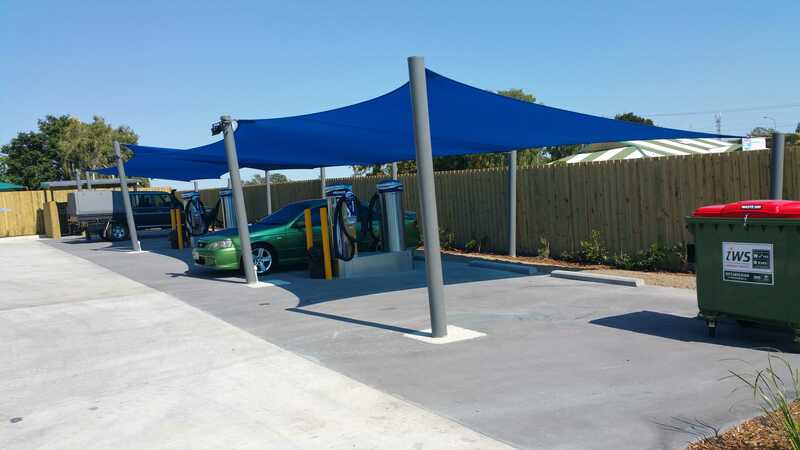 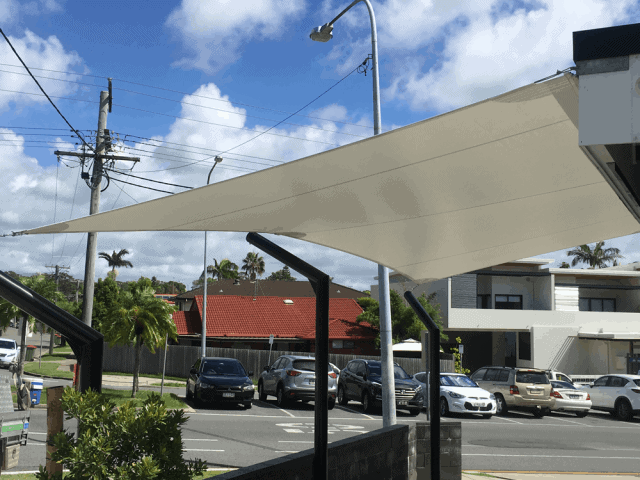 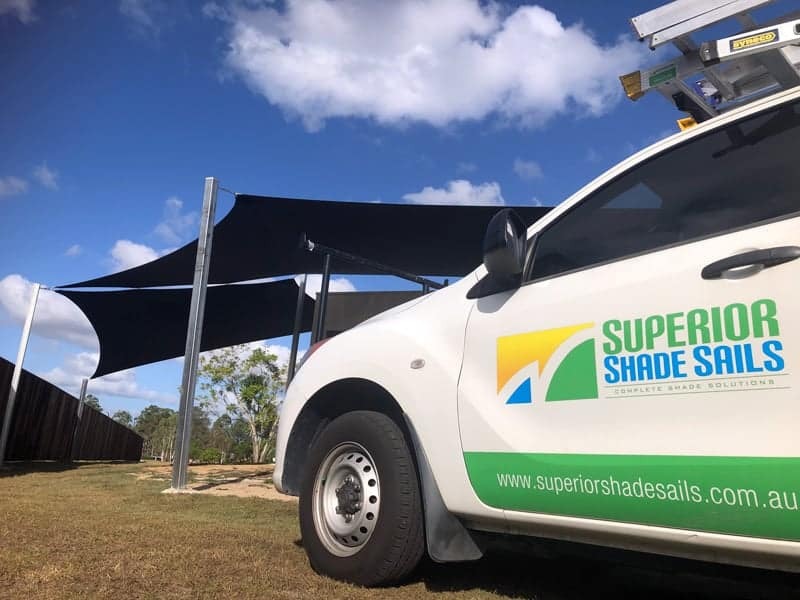 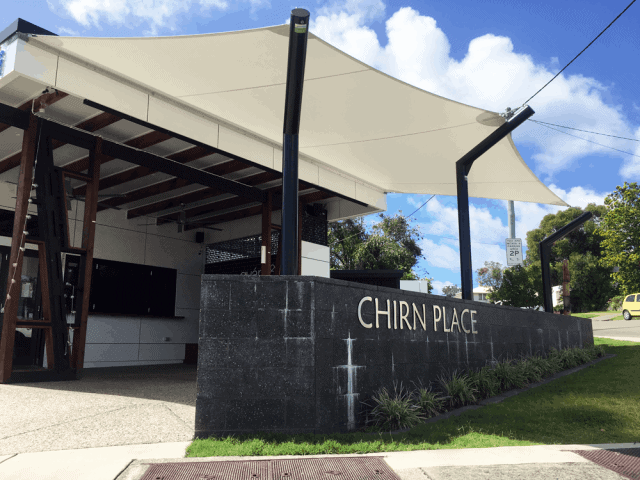 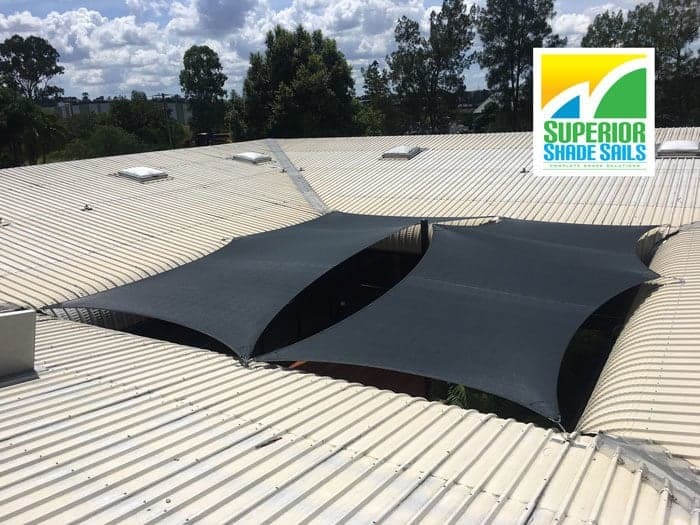 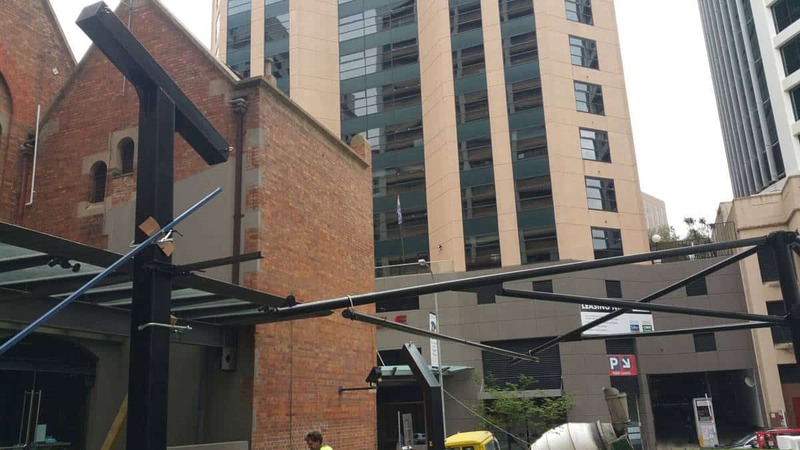 Superior Shade Sails gallery of installations in and around Brisbane, the Gold Coast and Ipswich. 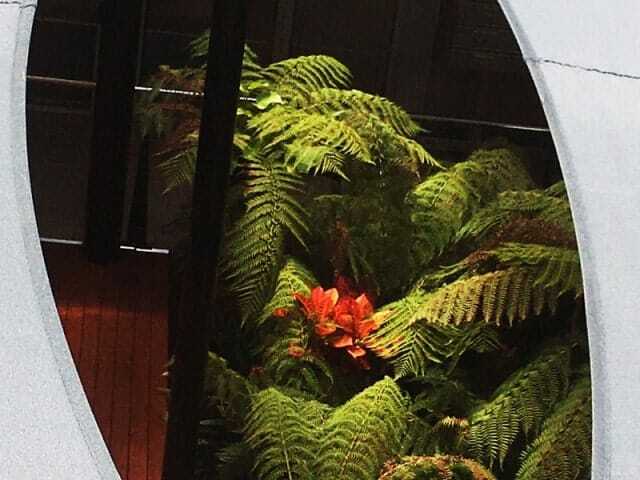 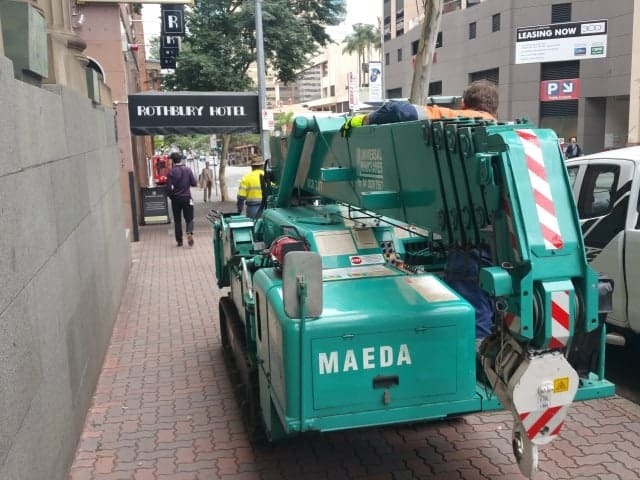 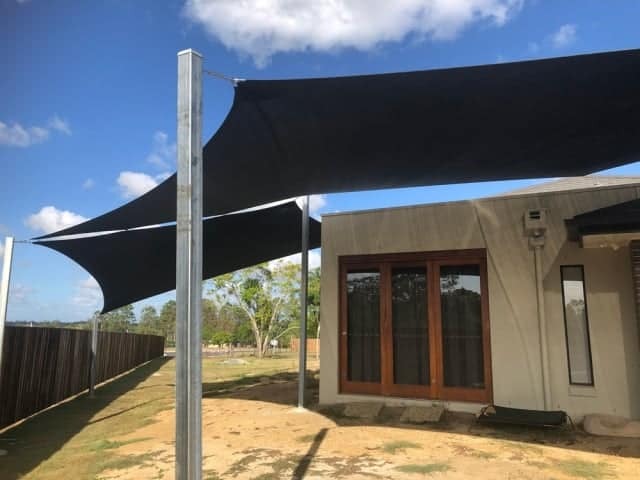 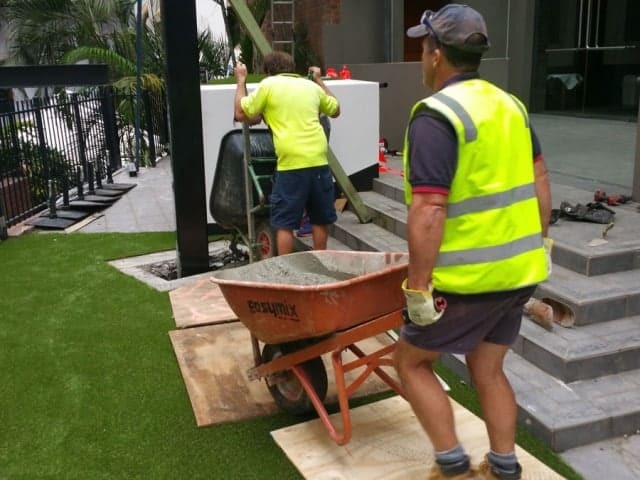 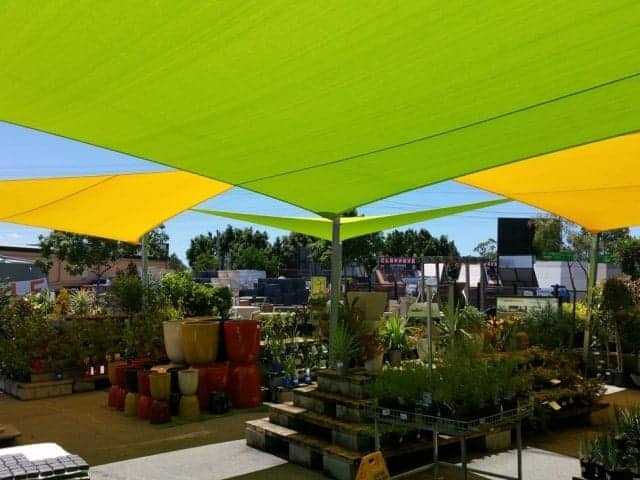 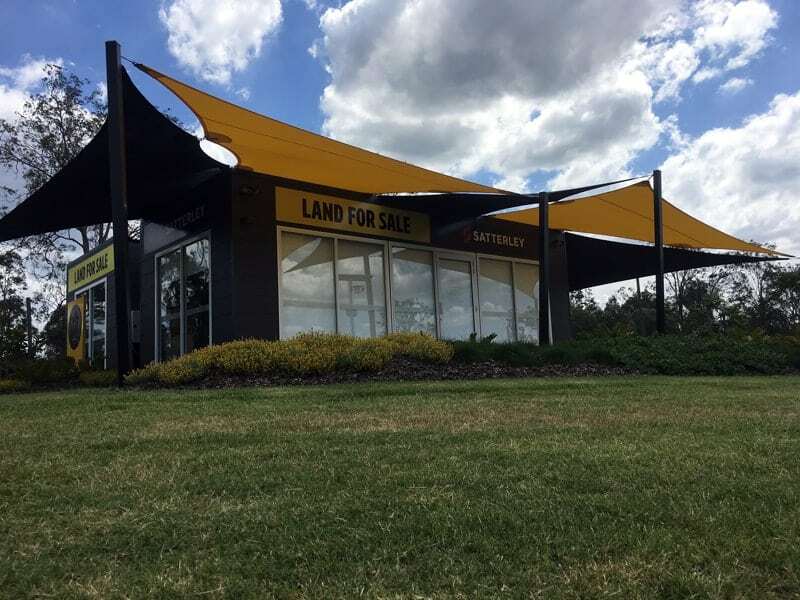 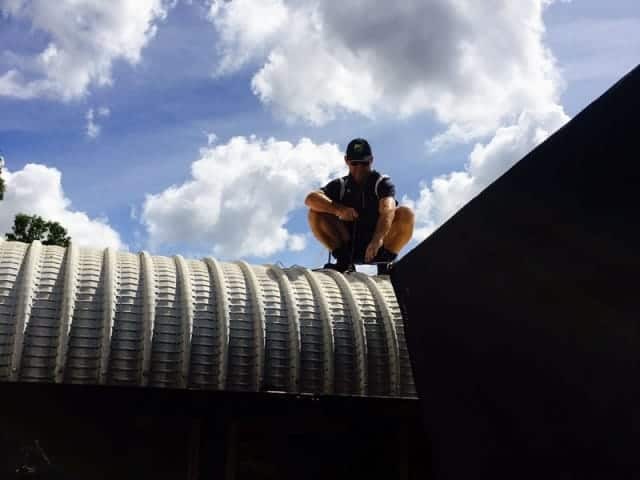 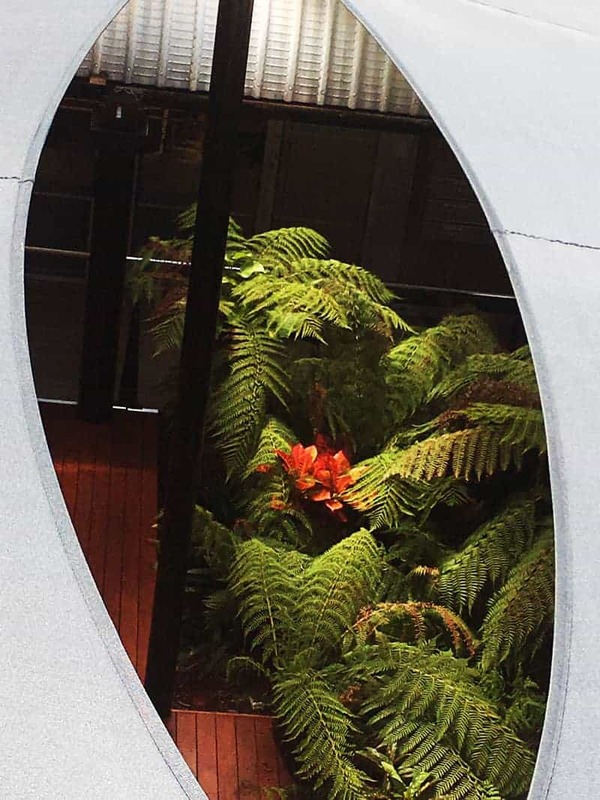 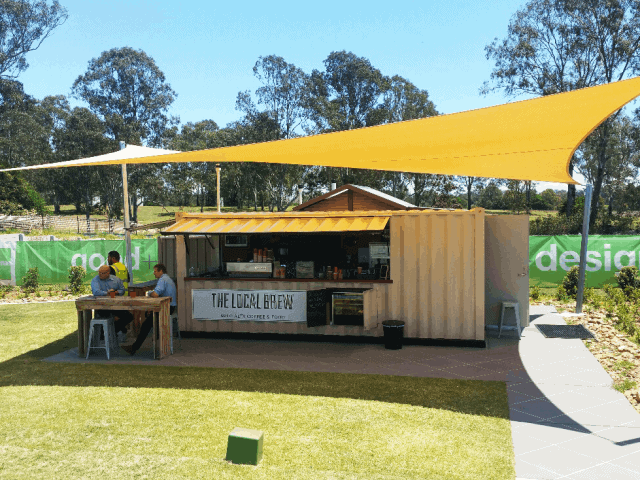 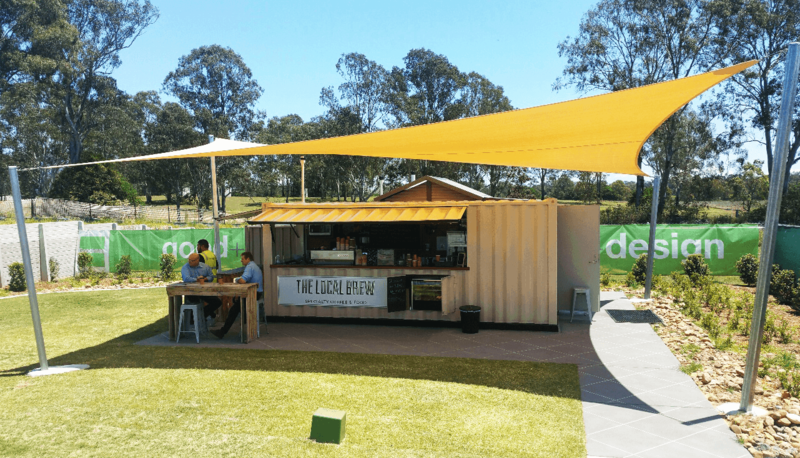 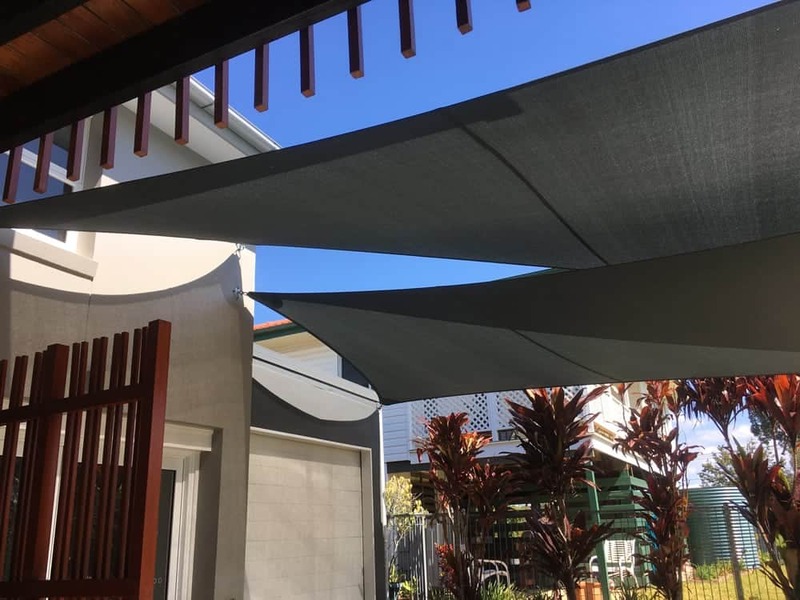 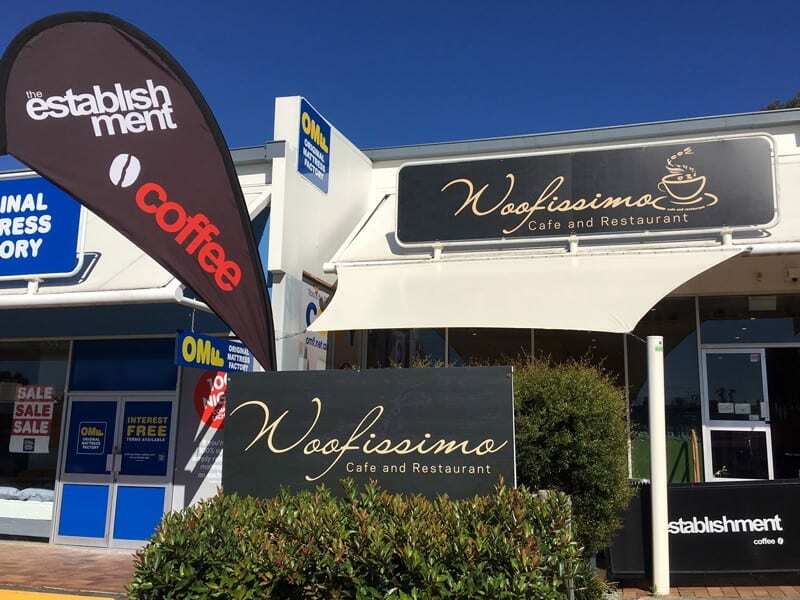 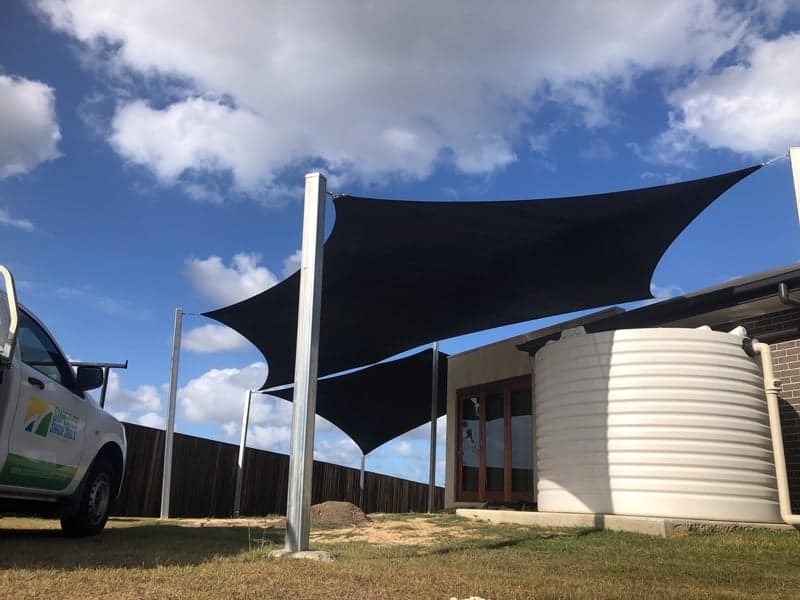 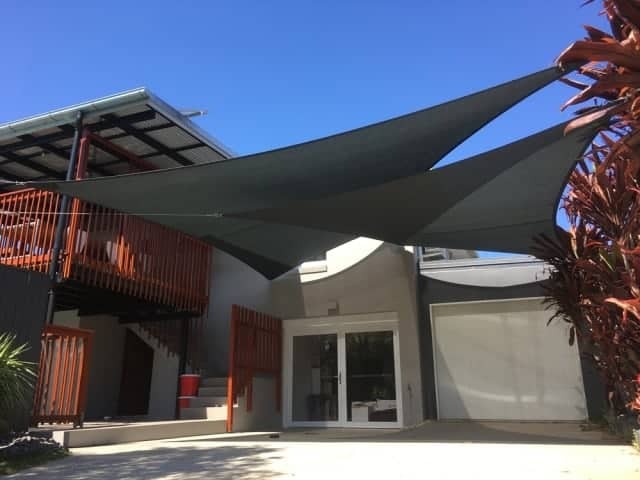 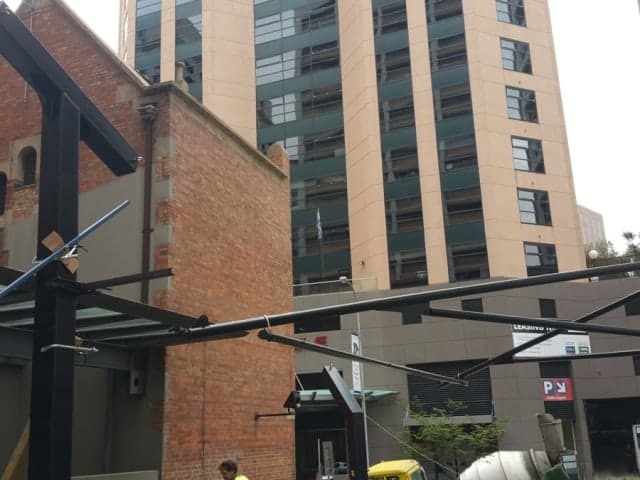 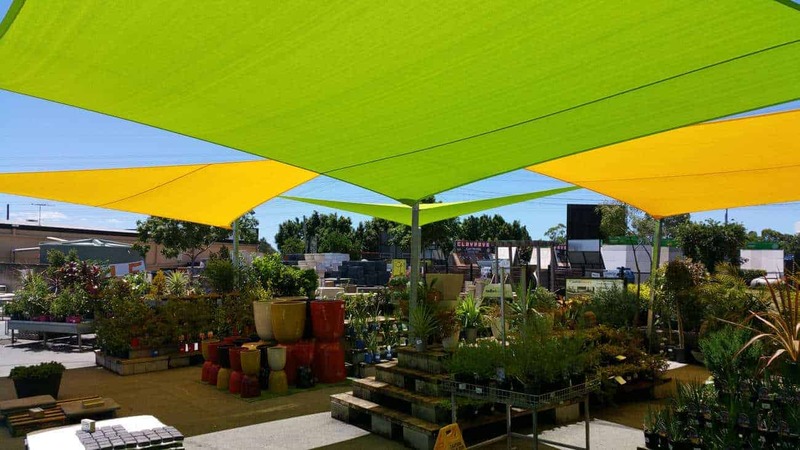 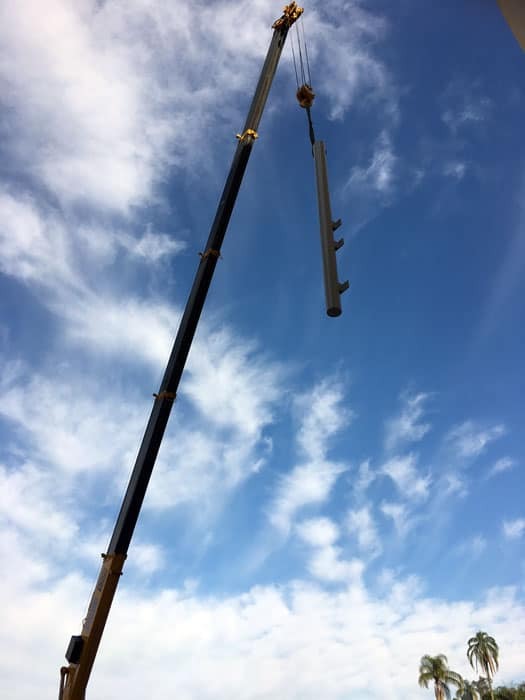 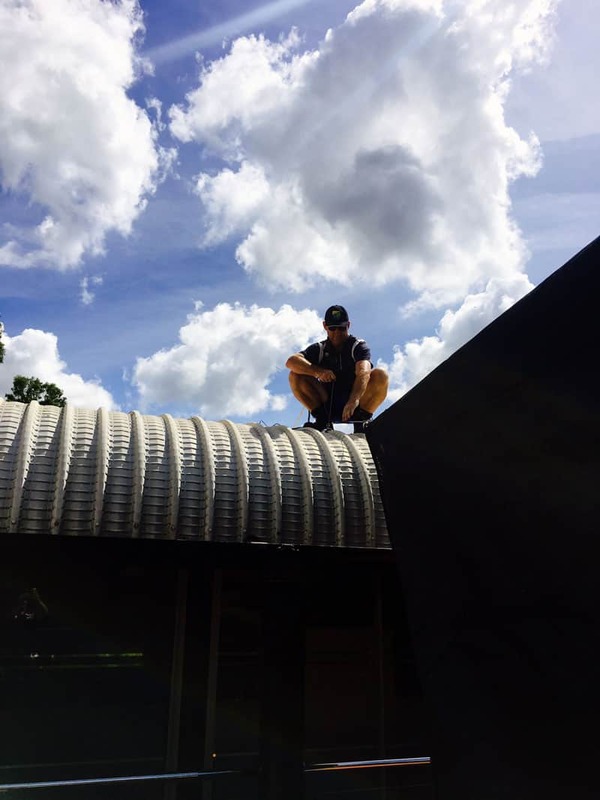 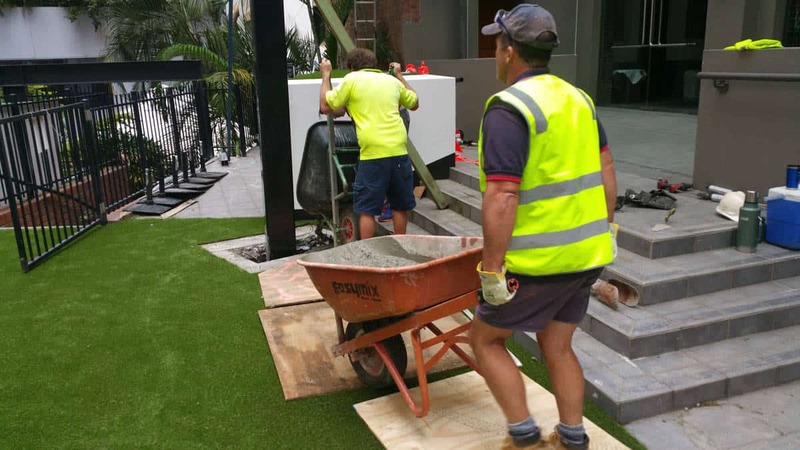 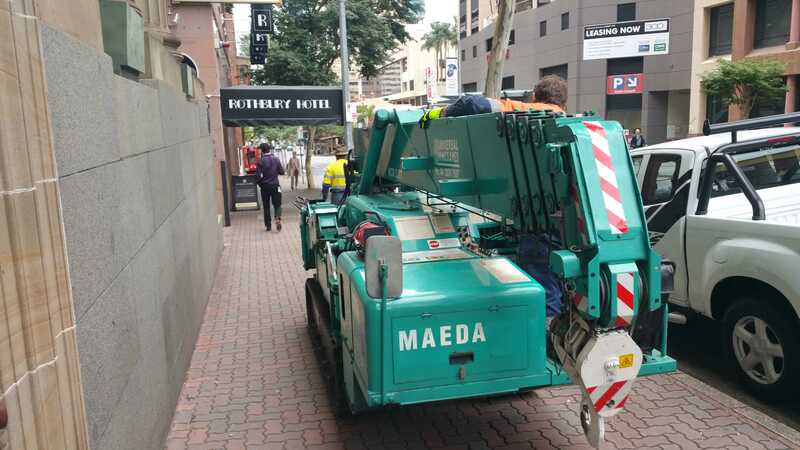 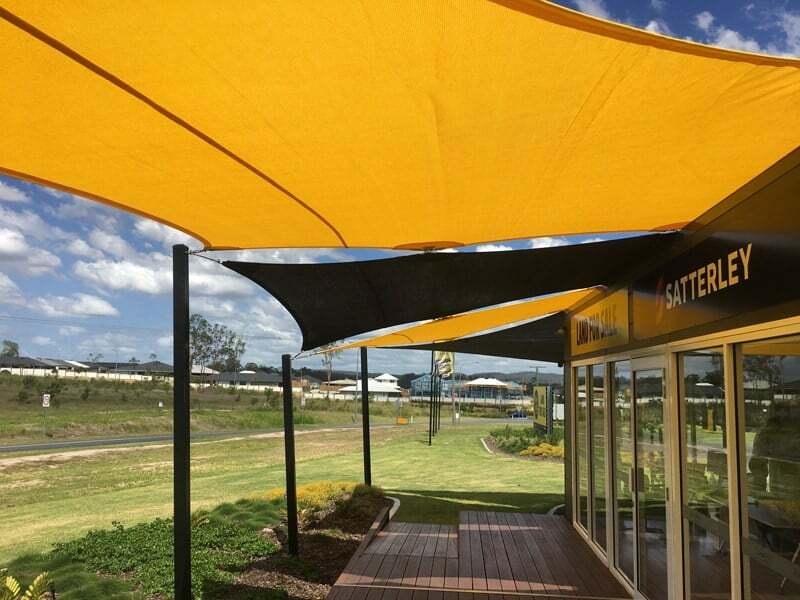 We have over 25 years of trade construction experience in residential & commercial applications, with the last 5 years dedicated to the shade sail industry in South East Queensland. 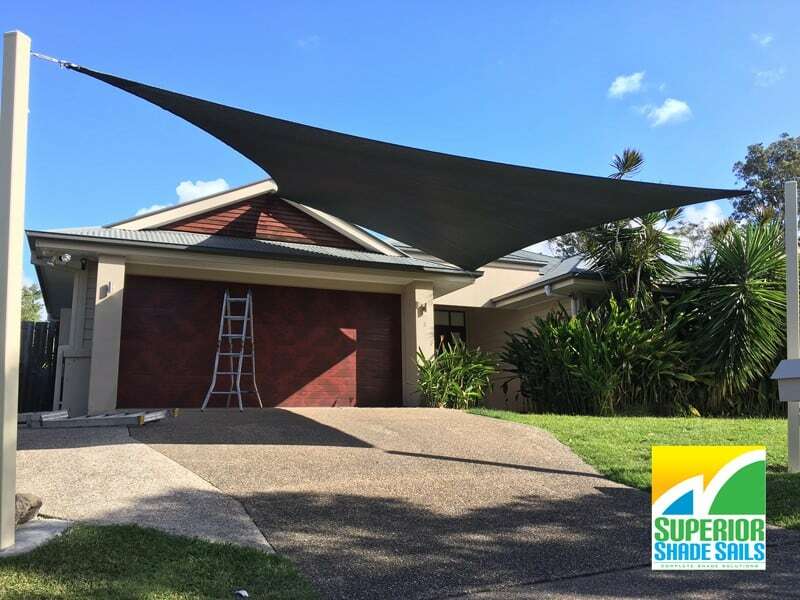 Another Carport shade sail installation in Albany Creek by the Superior Shade Sail Team. 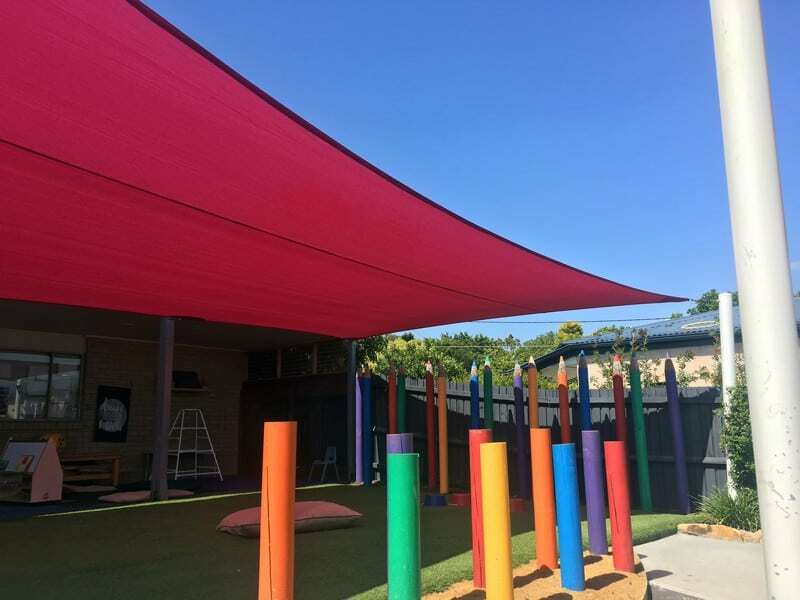 We used Z-16 Terracotta Rainbow shade fabric and double stitched. 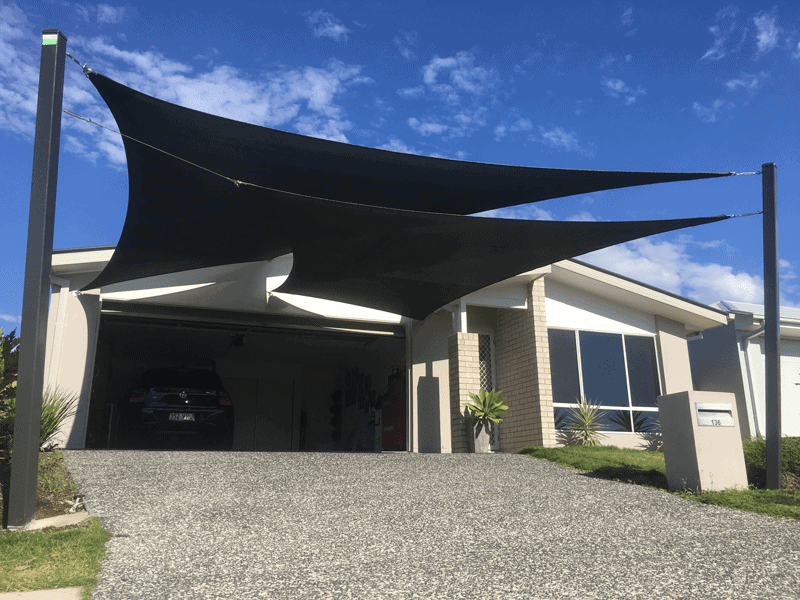 The locked stitch never unravels. 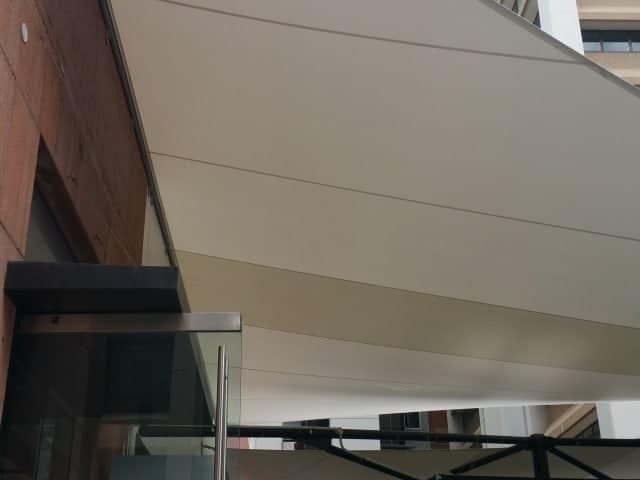 With posts in white birch, we used a heavy duty gusset and 20mm 316 stainless steel roof brackets. 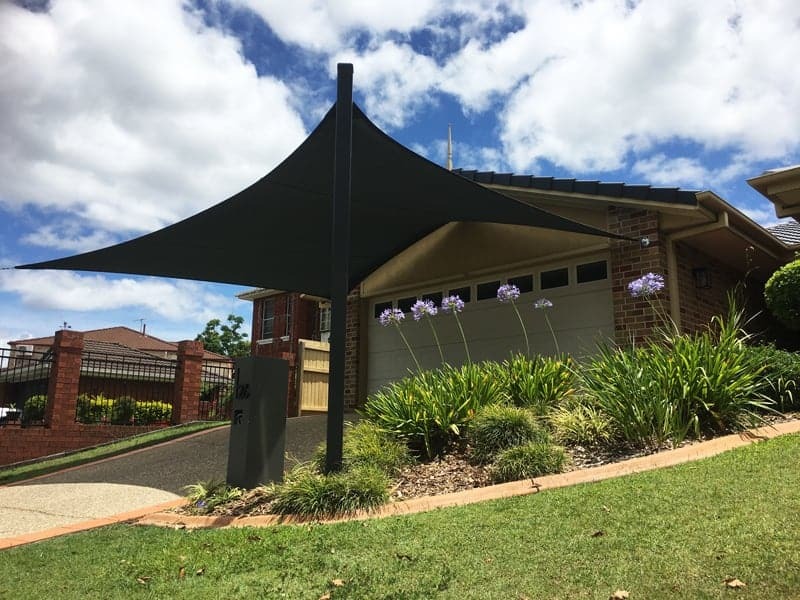 Brisbane shade sail installation at Forestdale. 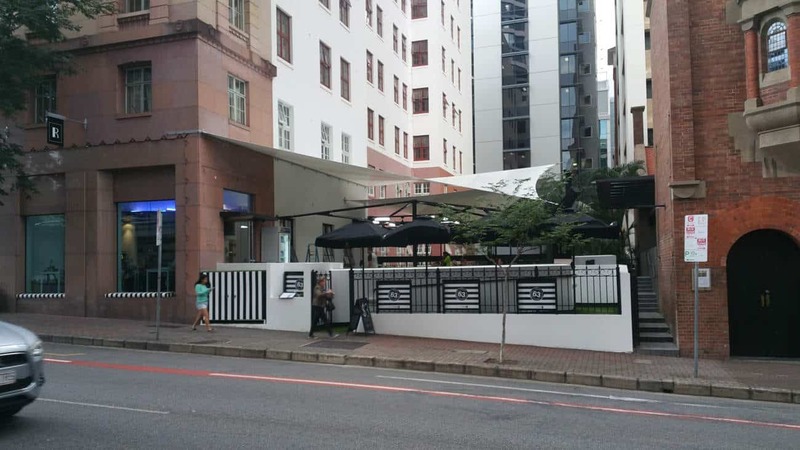 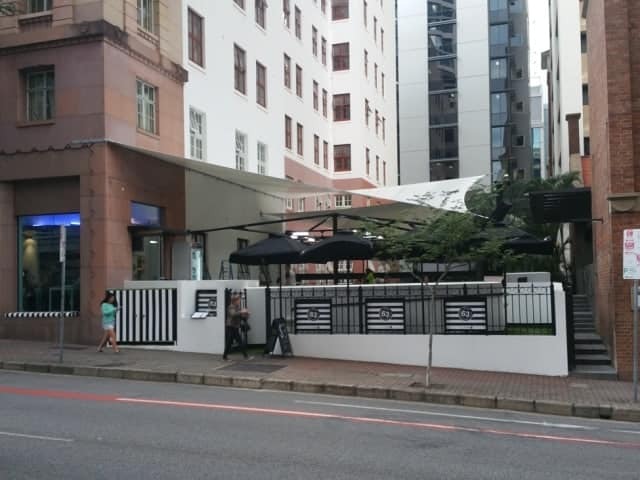 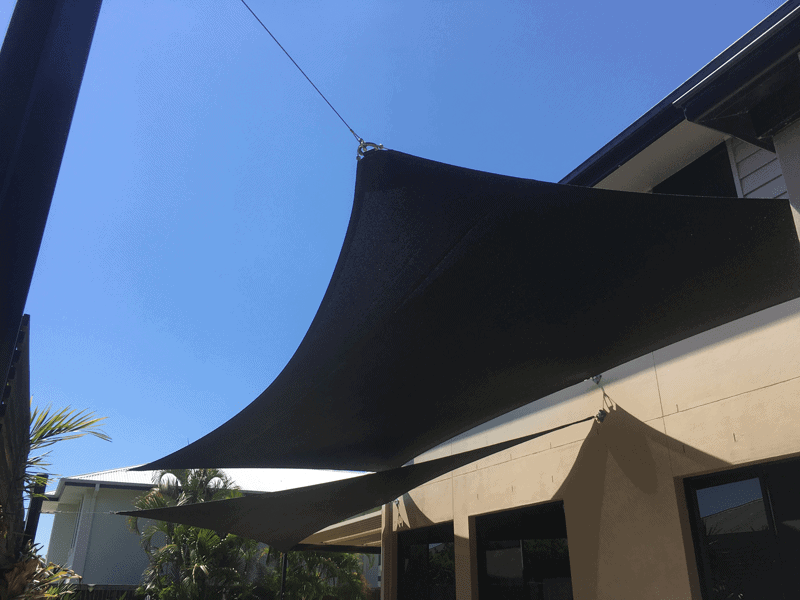 Using the Z-16 fabric we joined two shade sails together to provide a lot of shaded area. 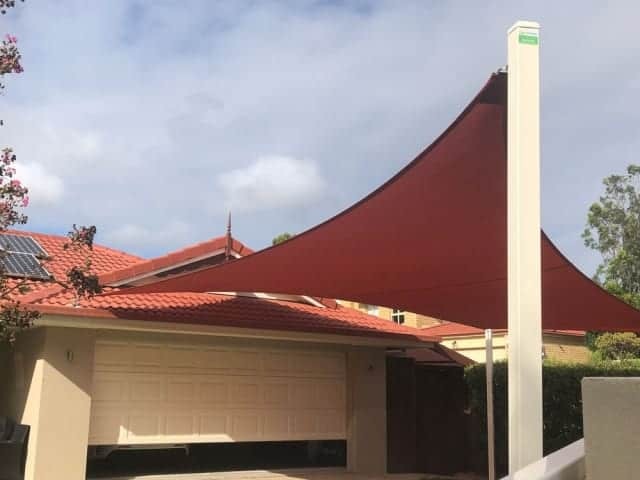 Carport shade enclosure using the DRI-Z waterproof fabric in Forest Lake. Shade Sail for the Carport of this beautiful home in Paddington, Brisbane. 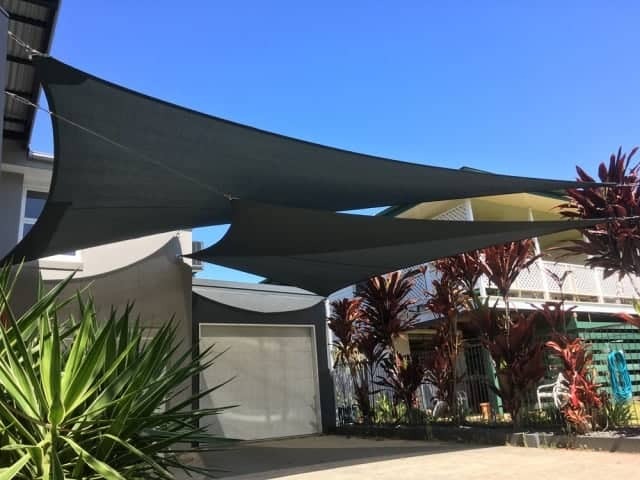 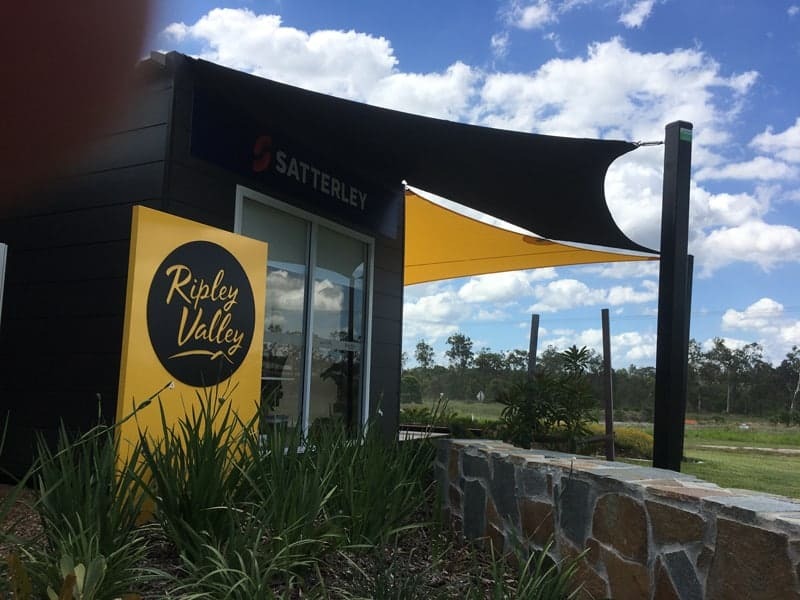 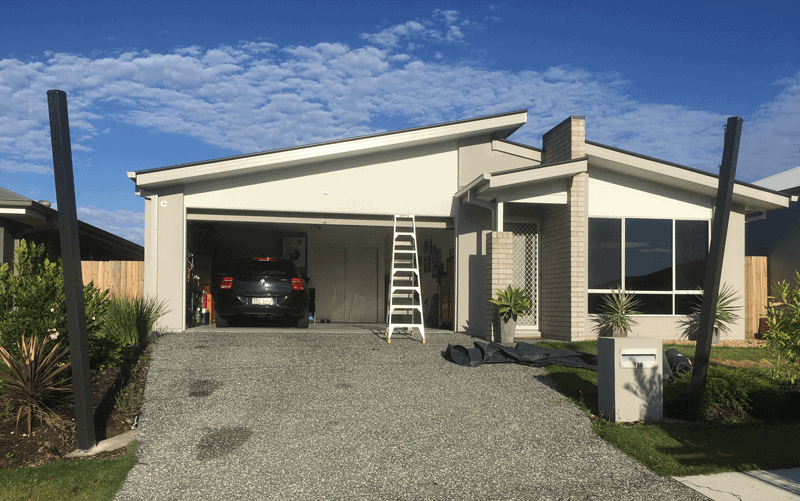 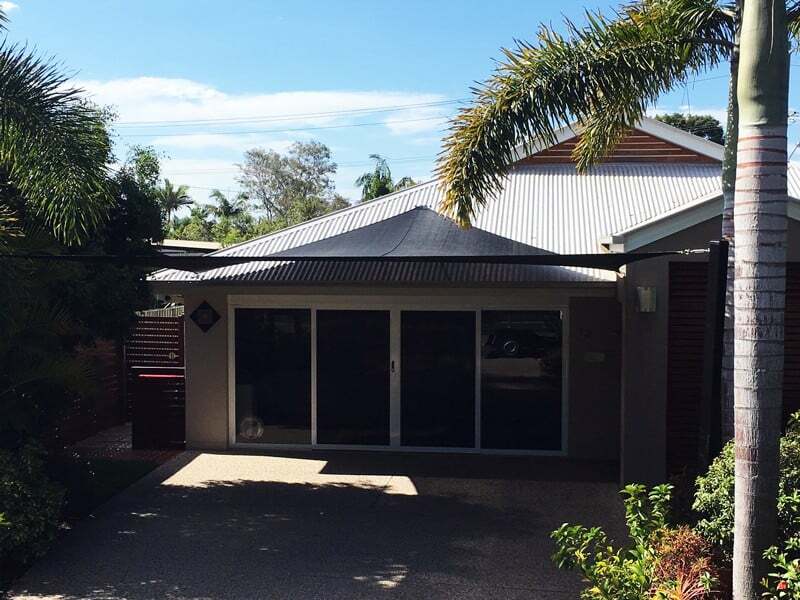 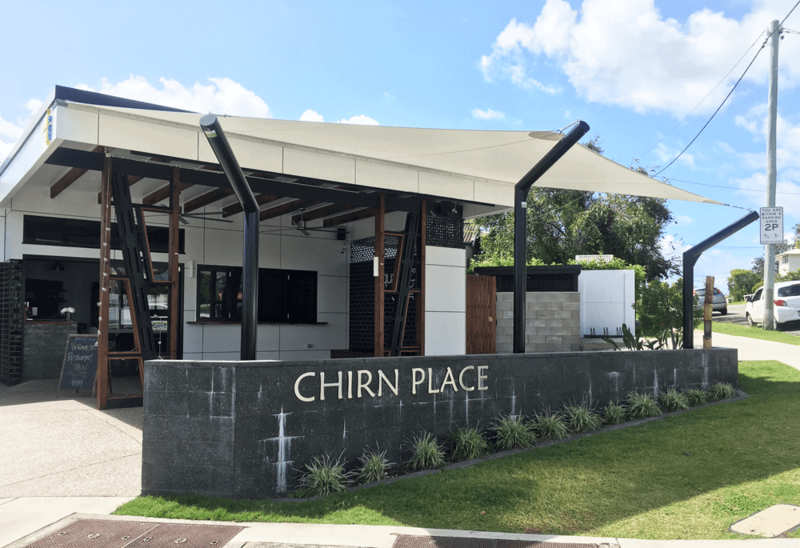 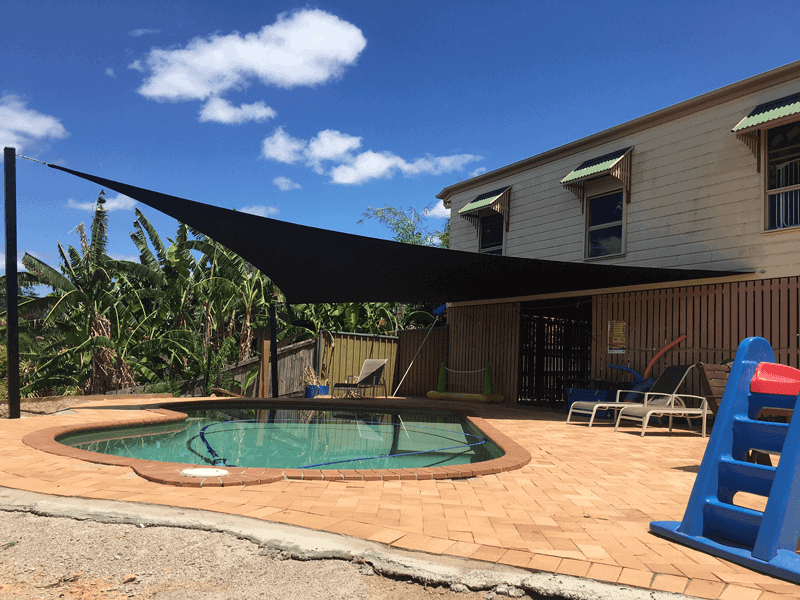 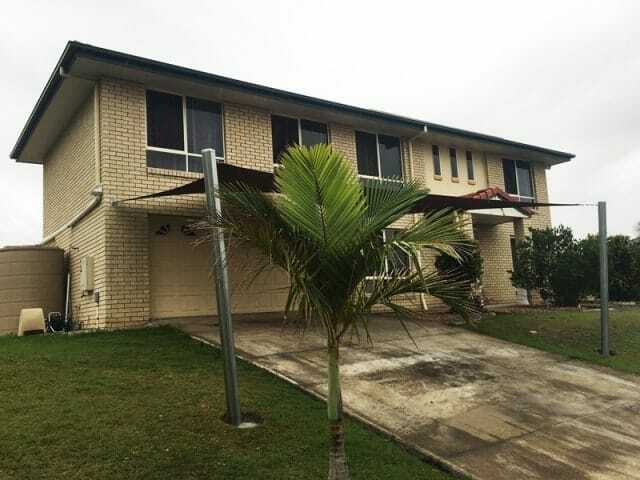 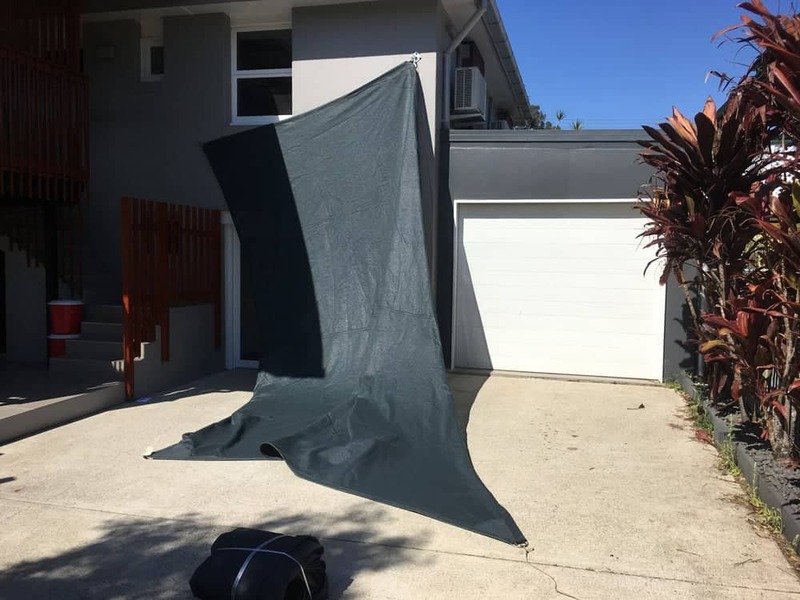 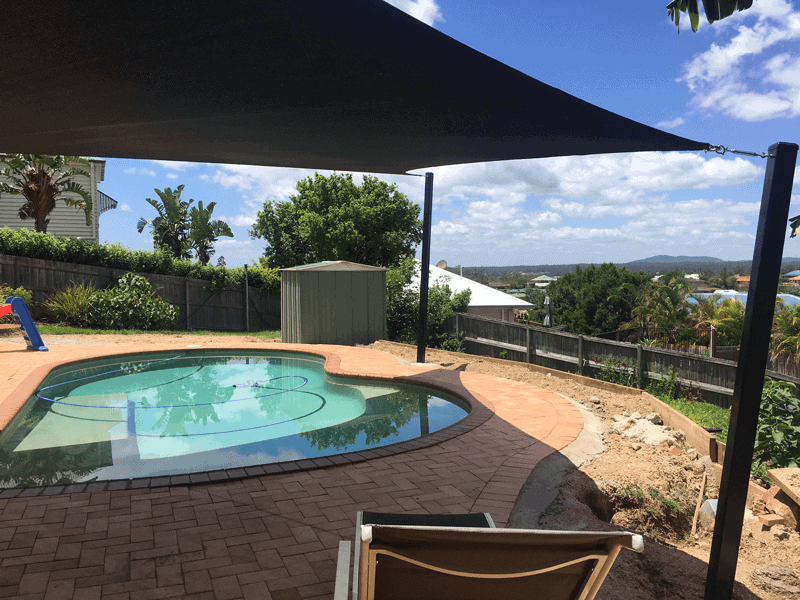 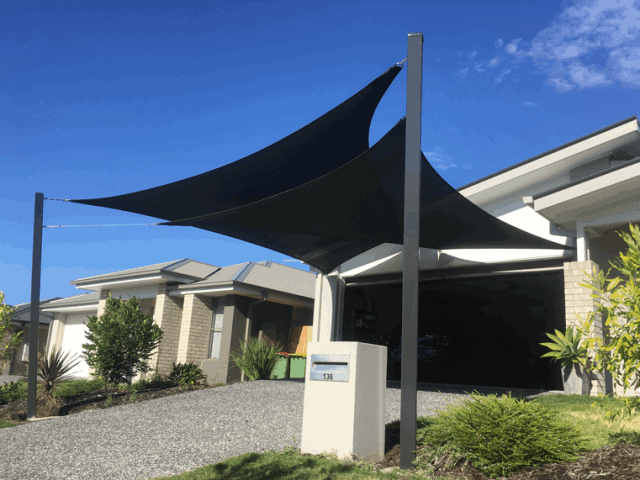 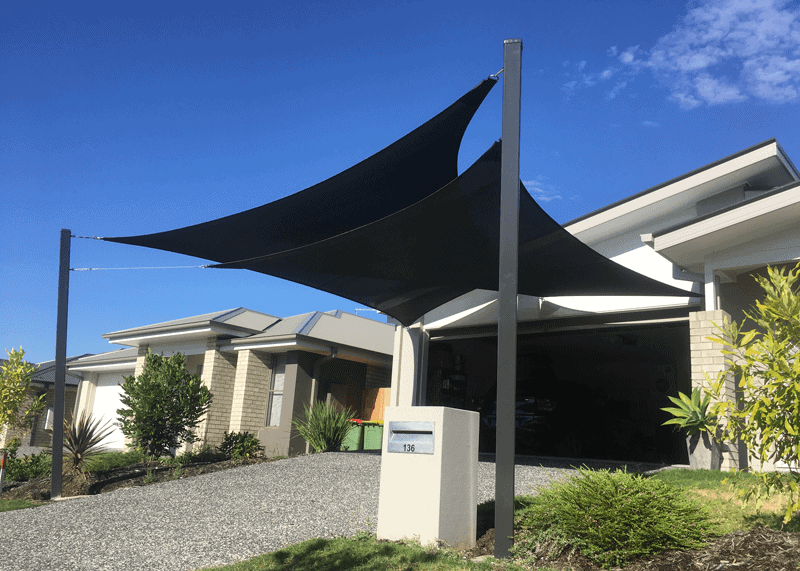 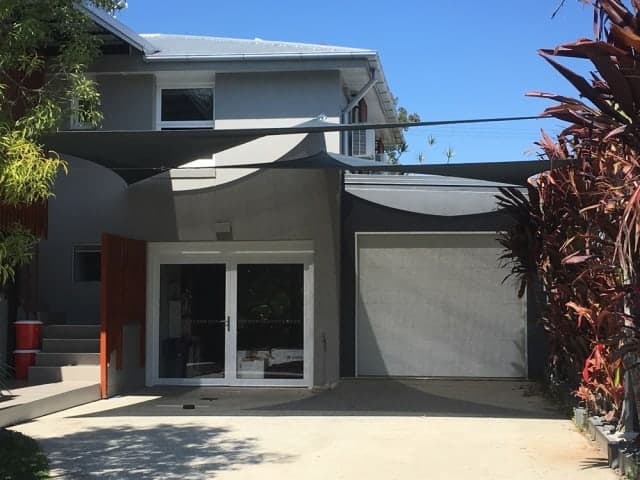 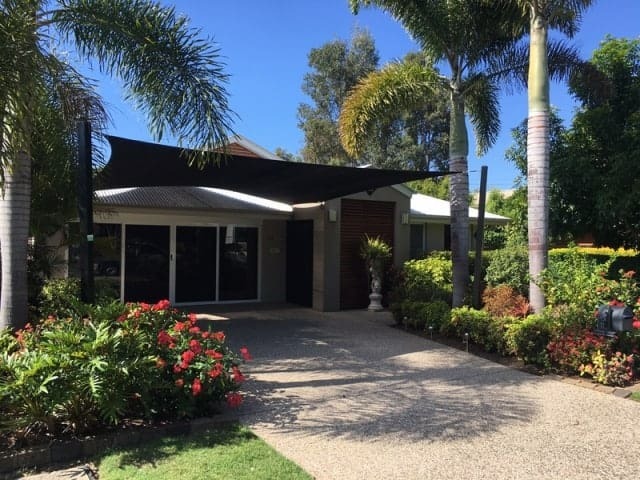 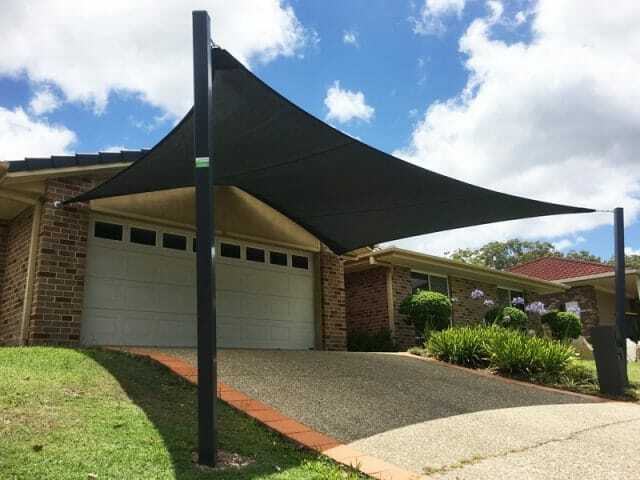 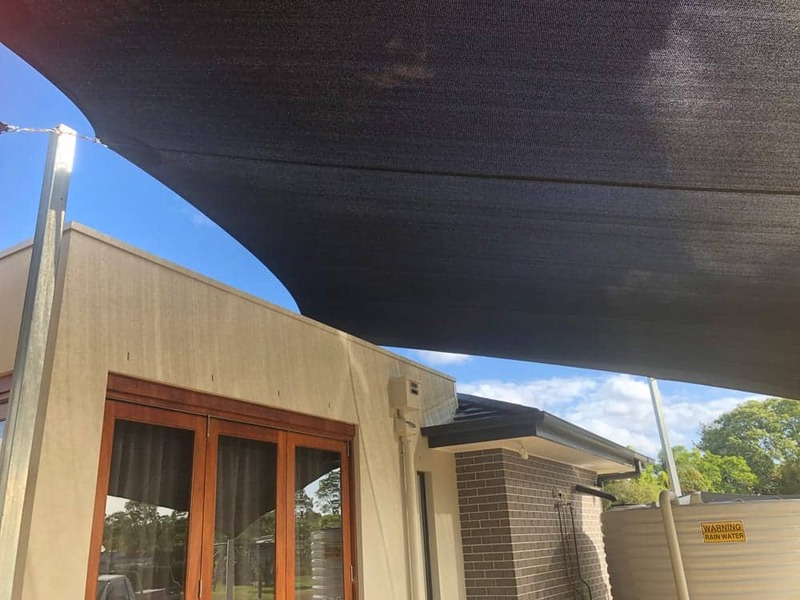 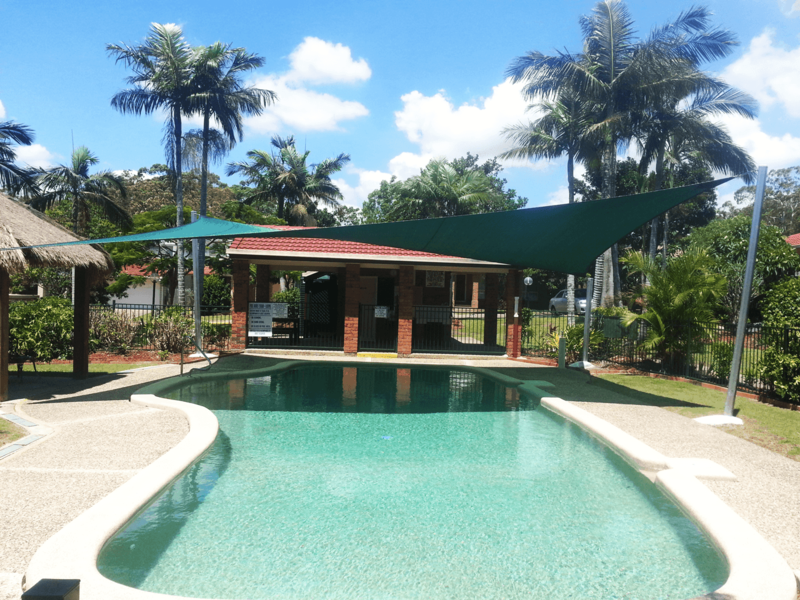 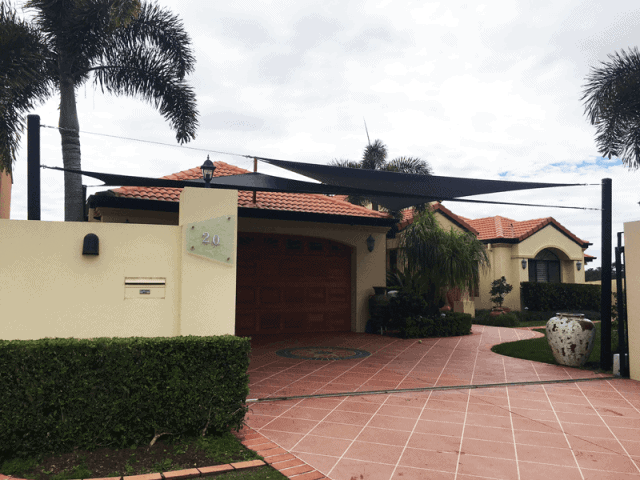 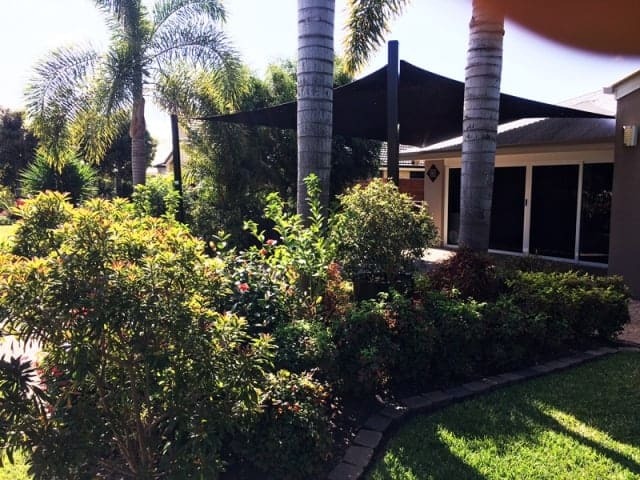 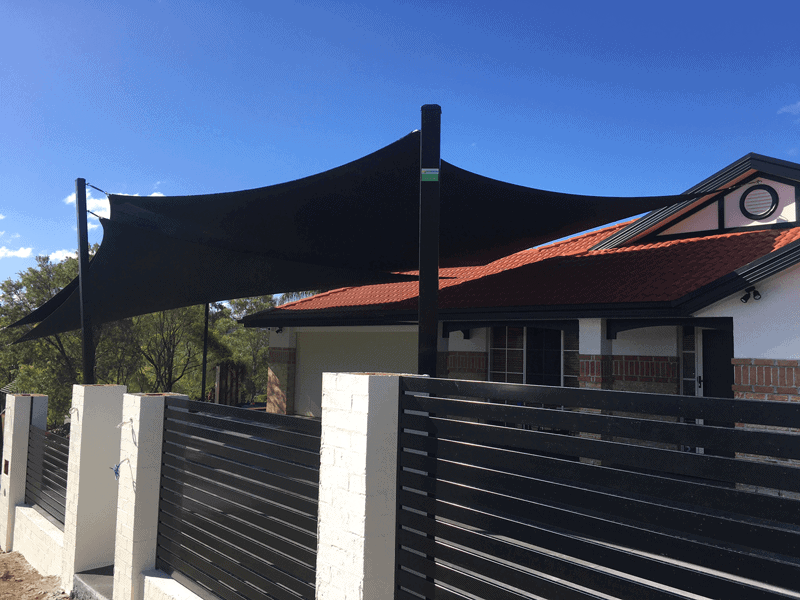 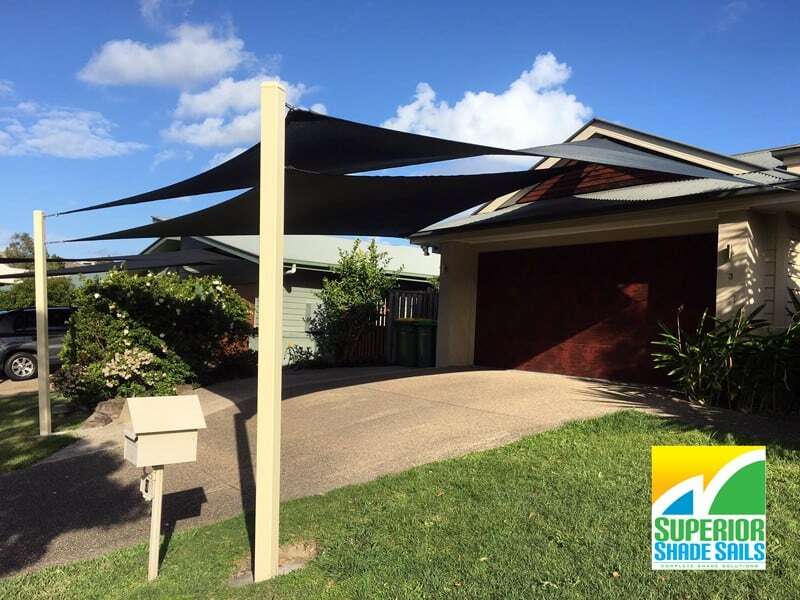 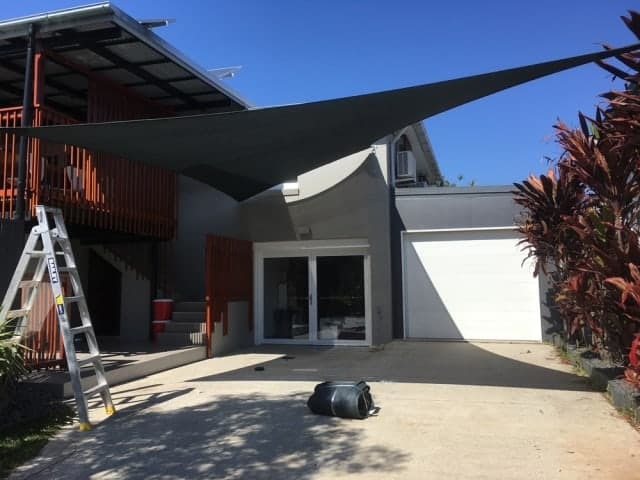 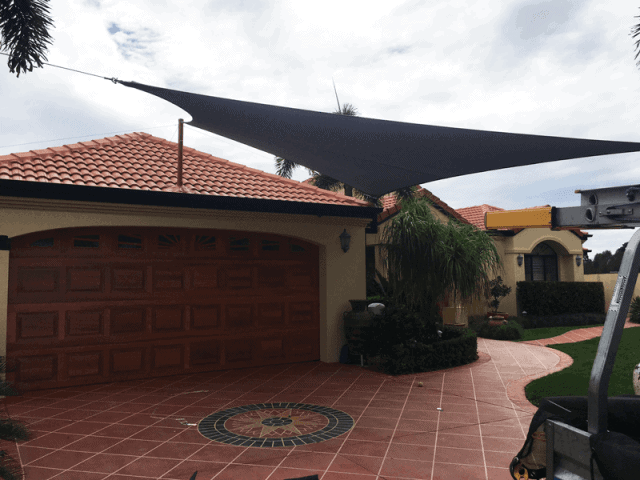 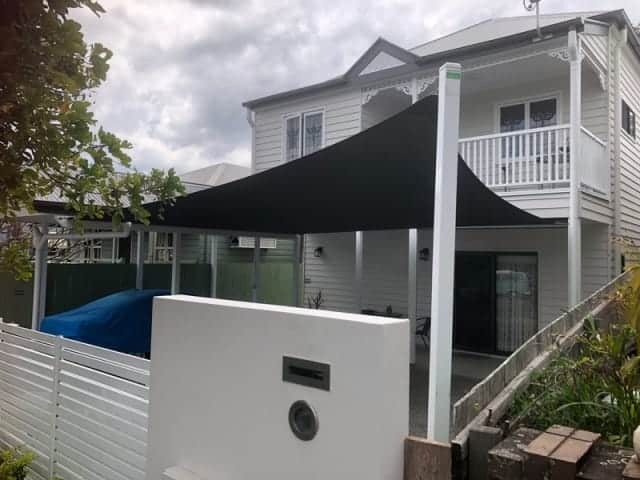 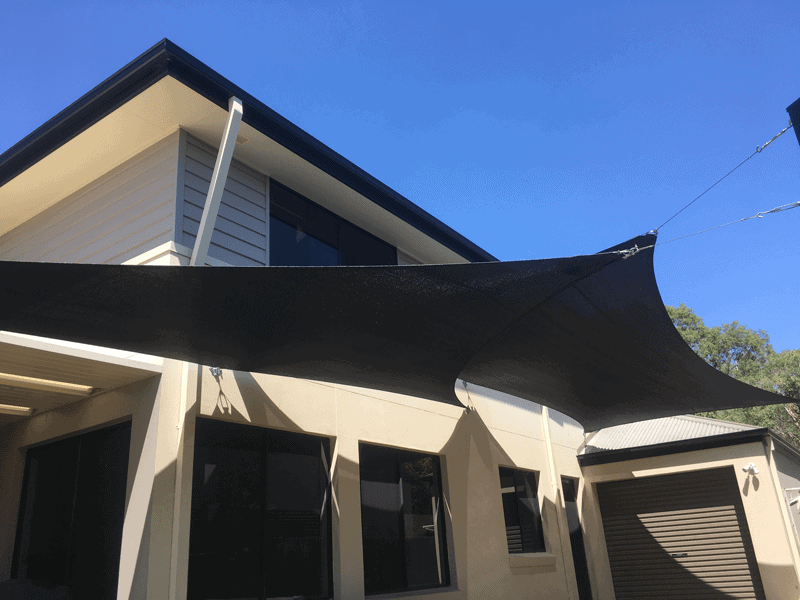 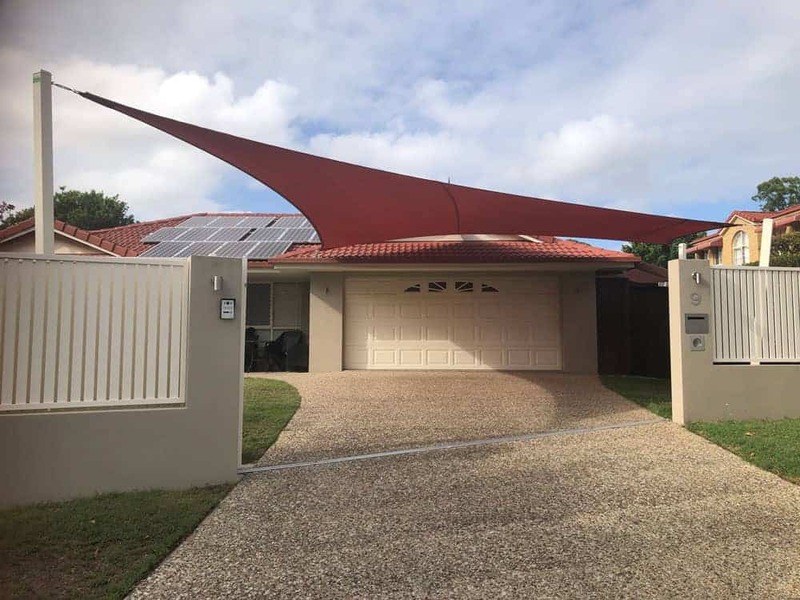 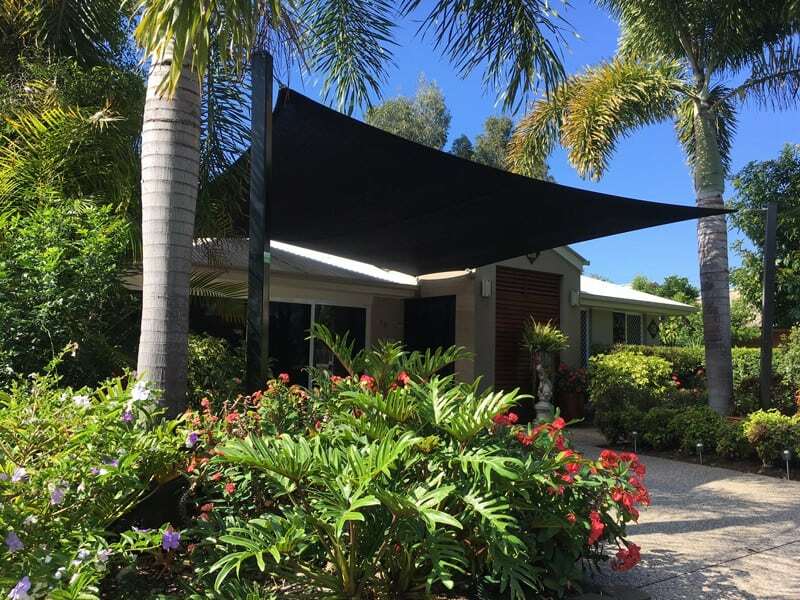 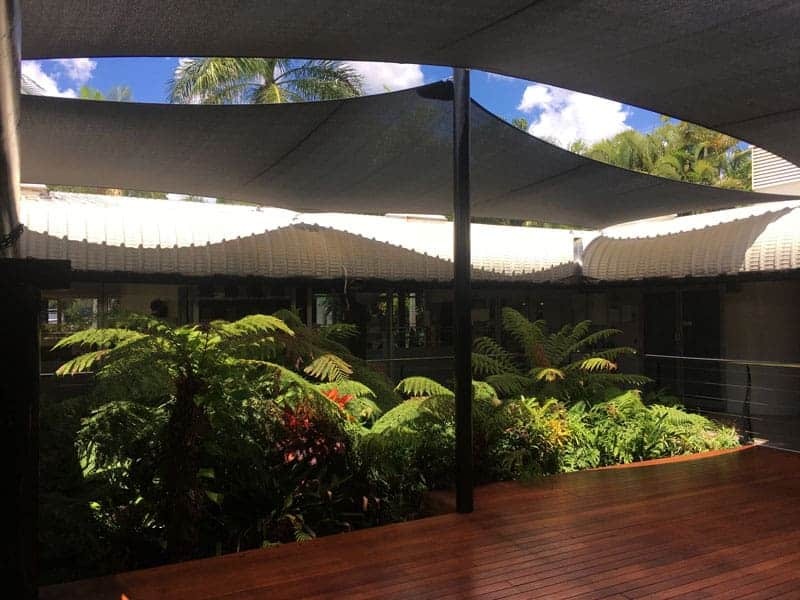 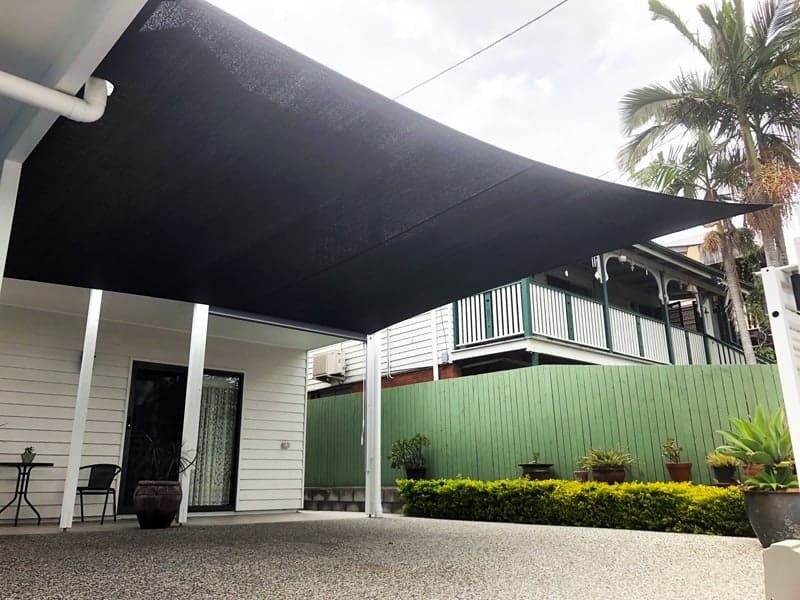 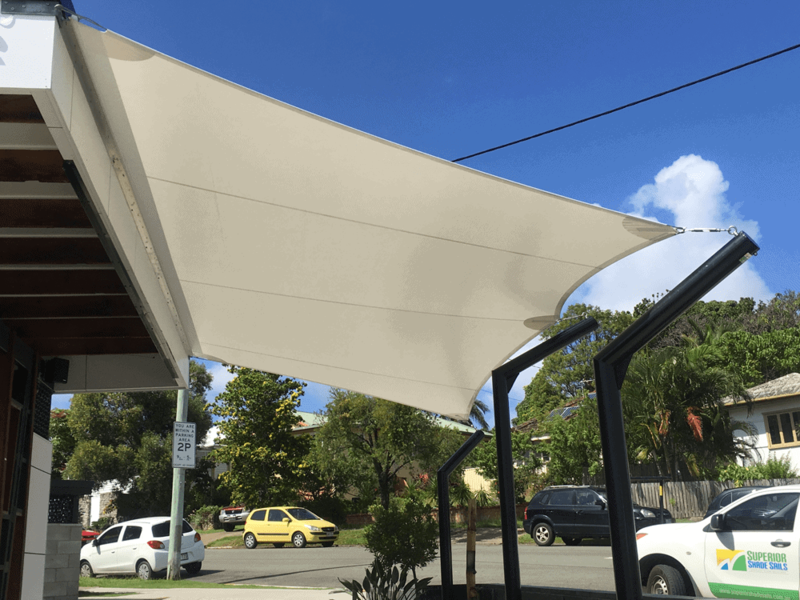 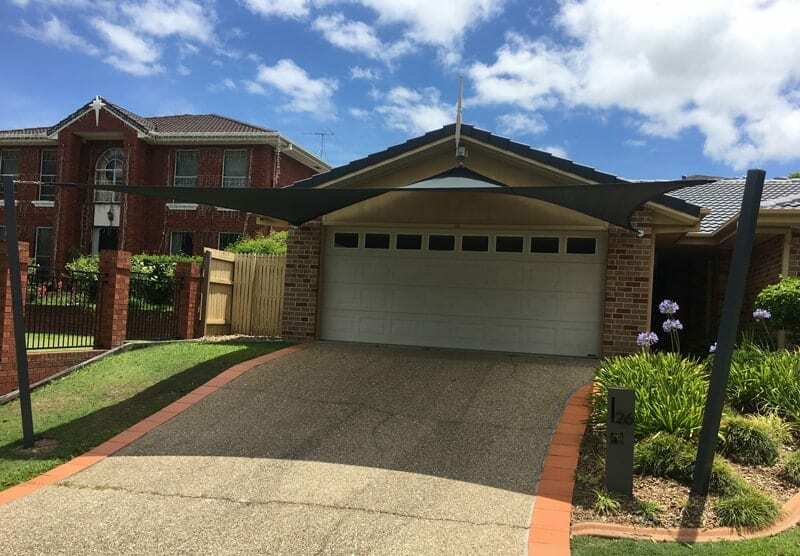 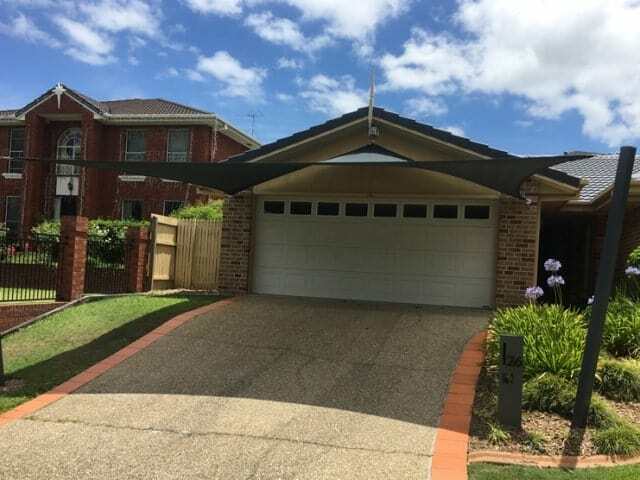 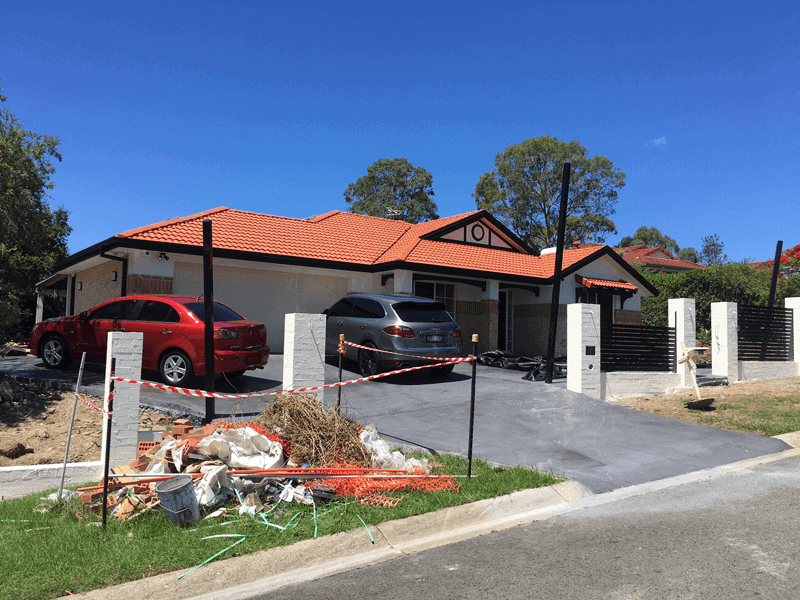 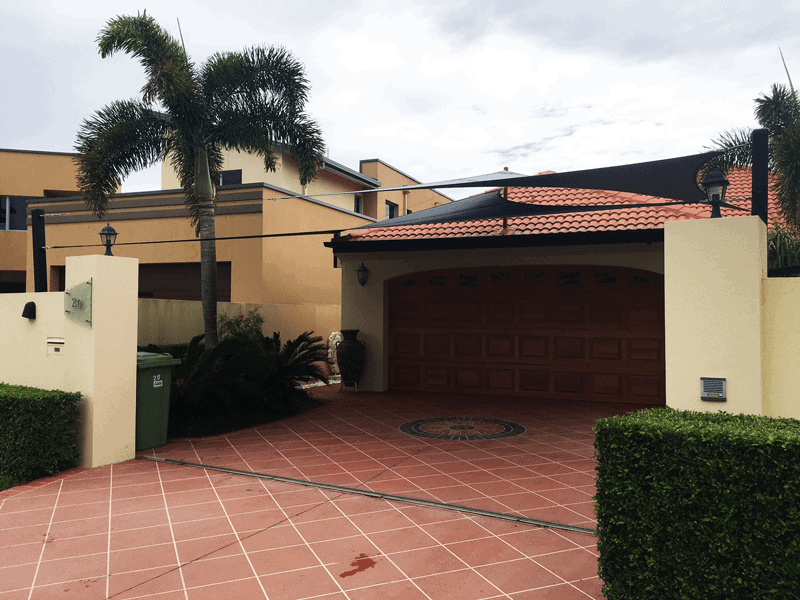 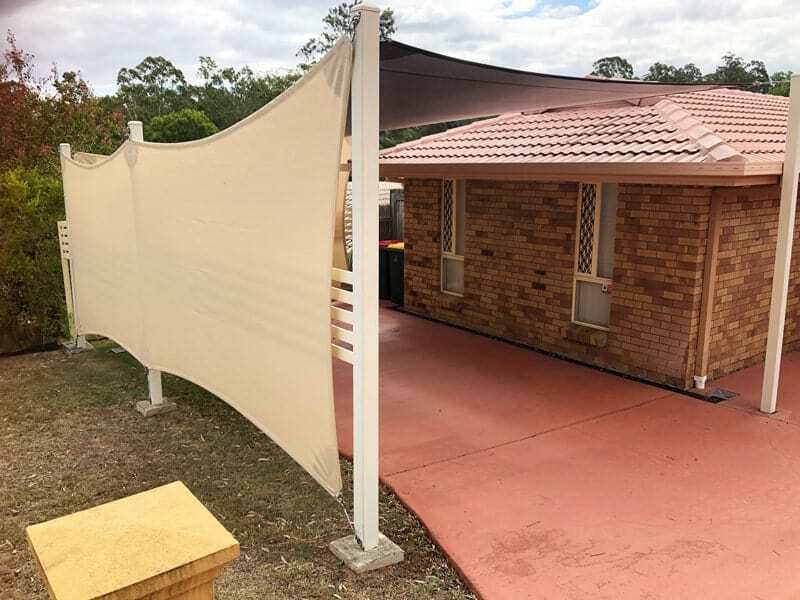 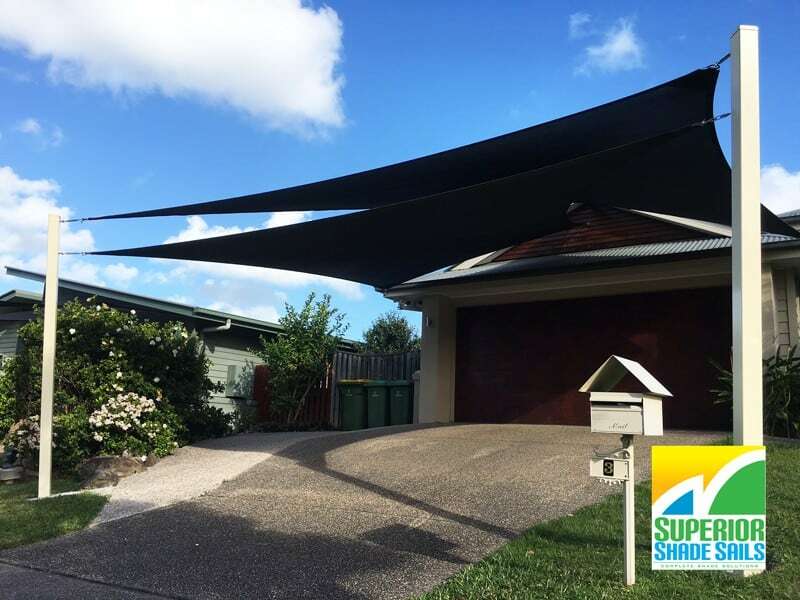 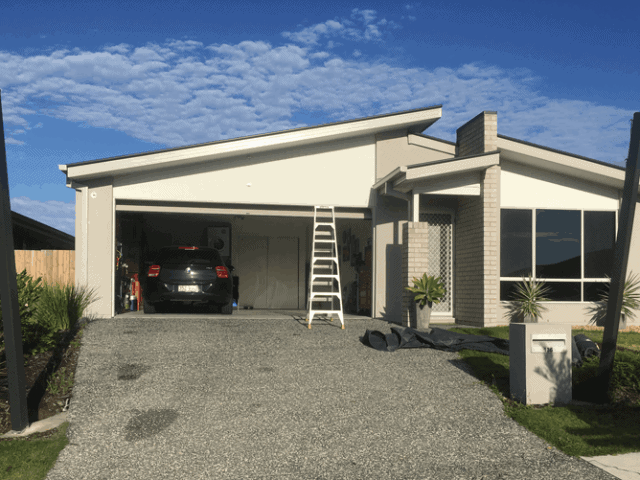 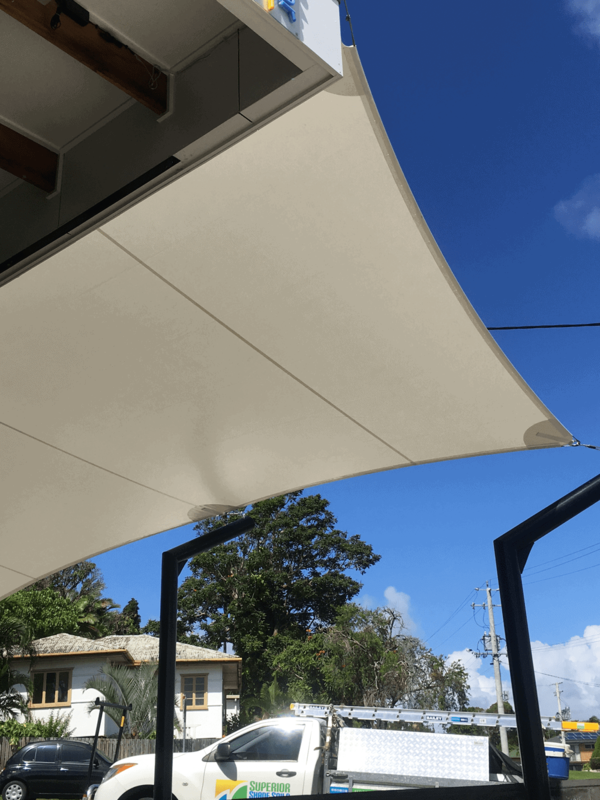 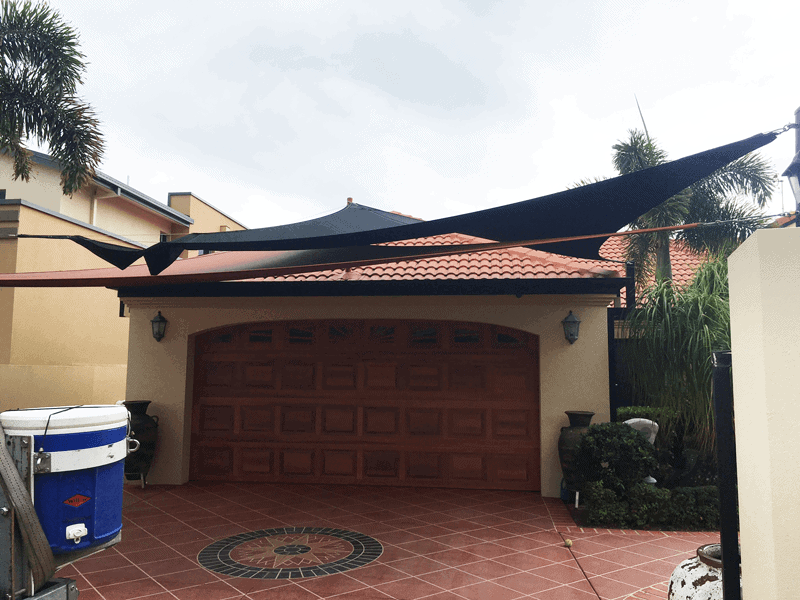 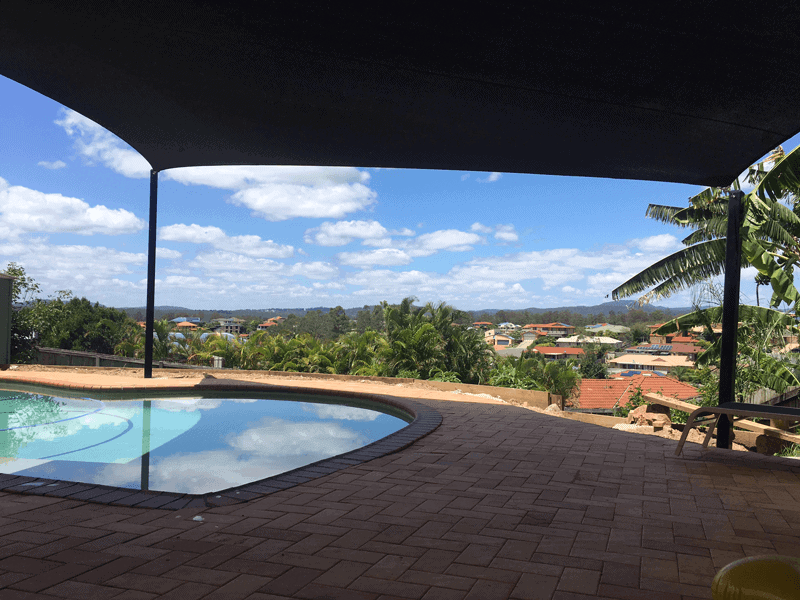 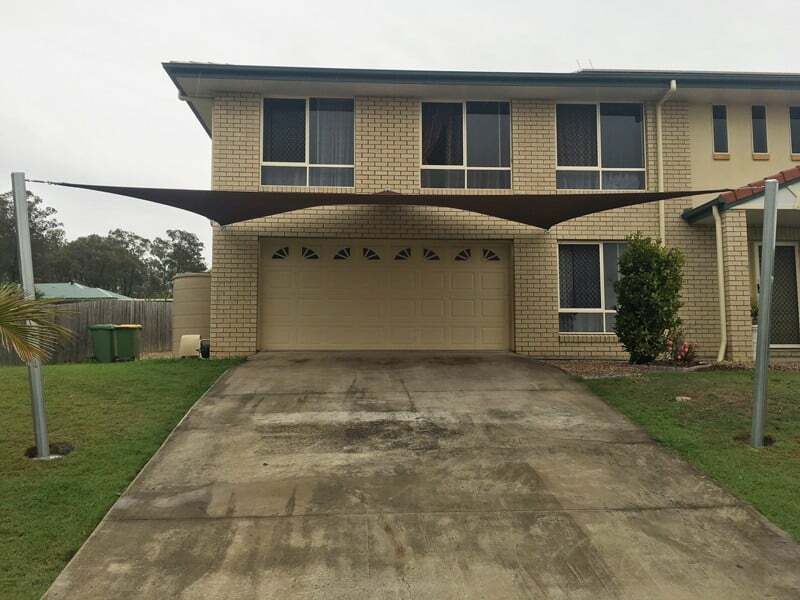 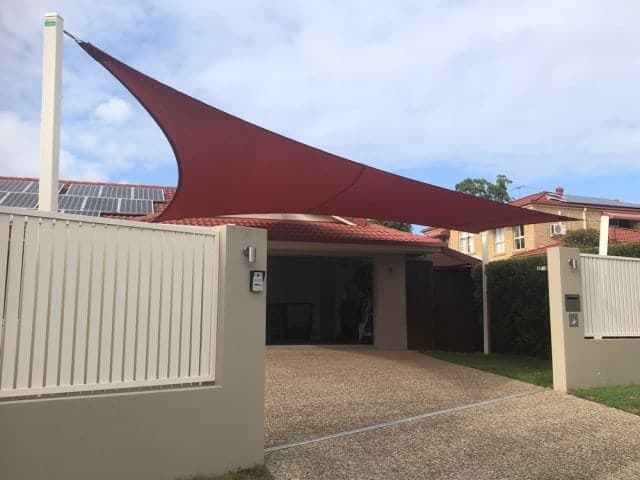 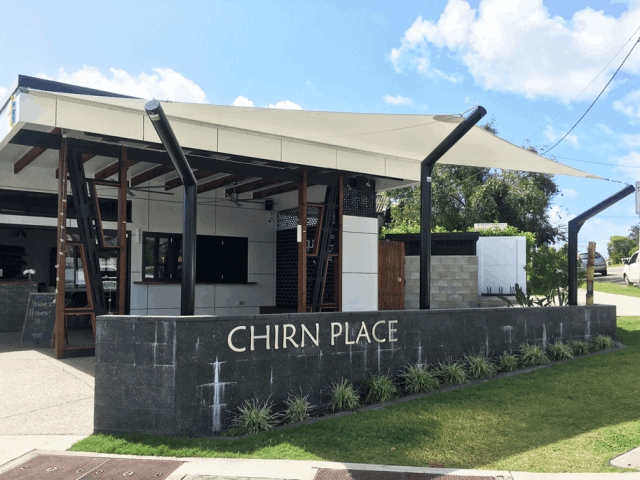 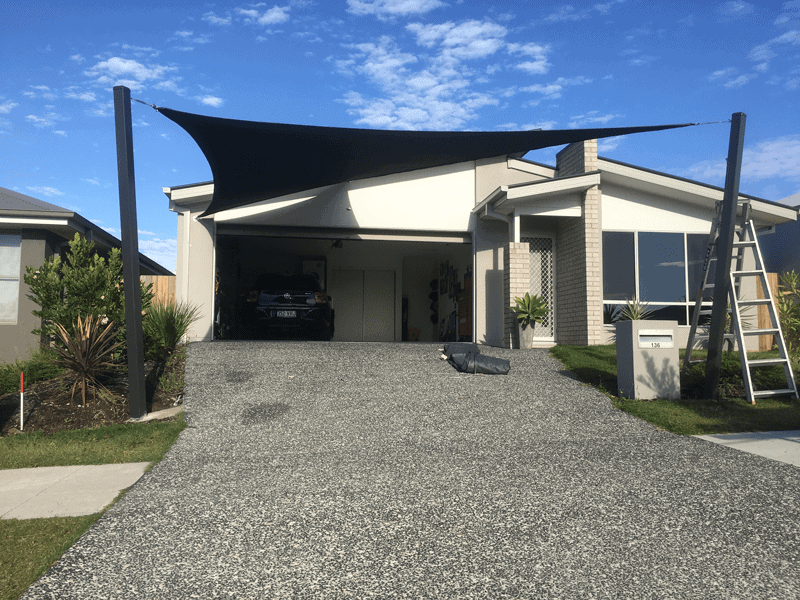 Overlapping Driveway Shade Sails in Z16 Black – Wakerley, Brisbane. 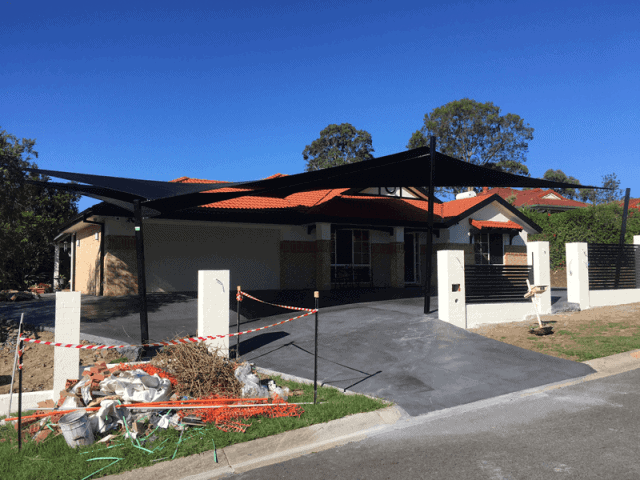 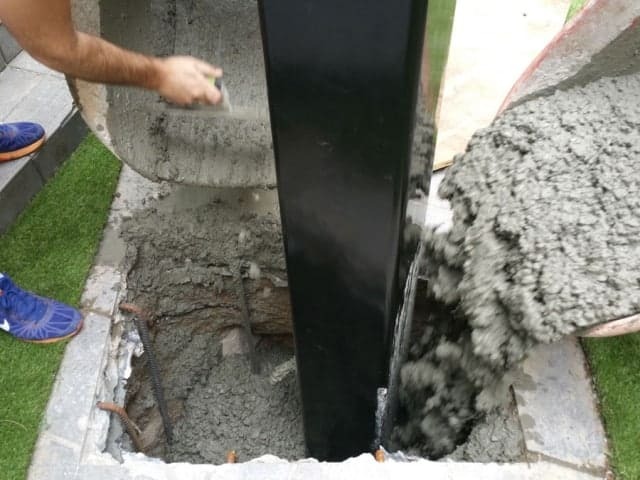 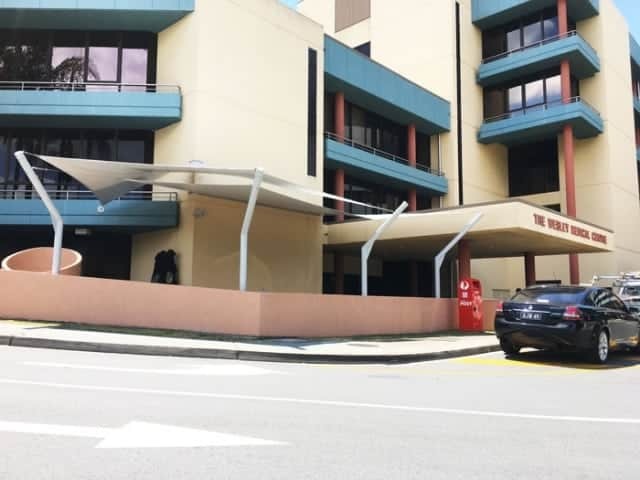 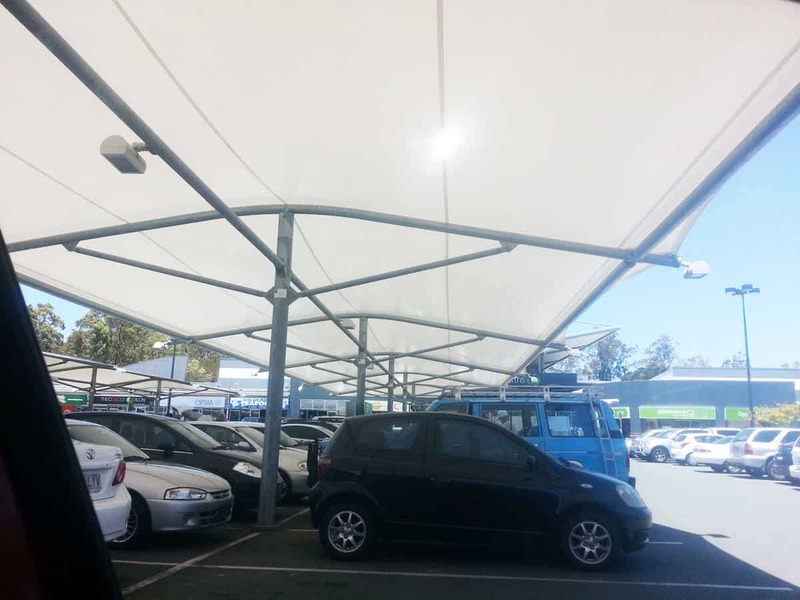 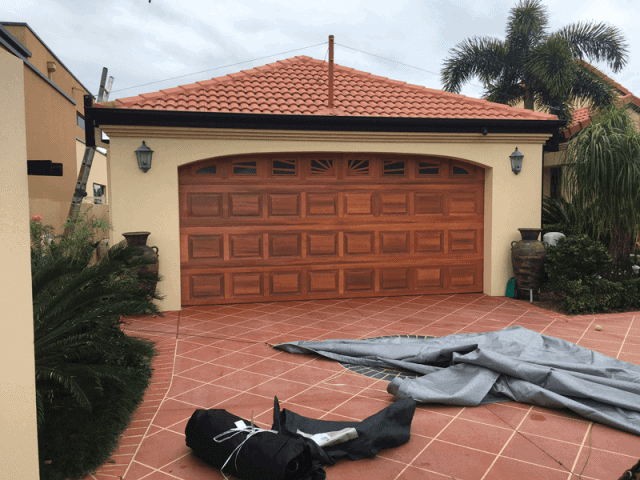 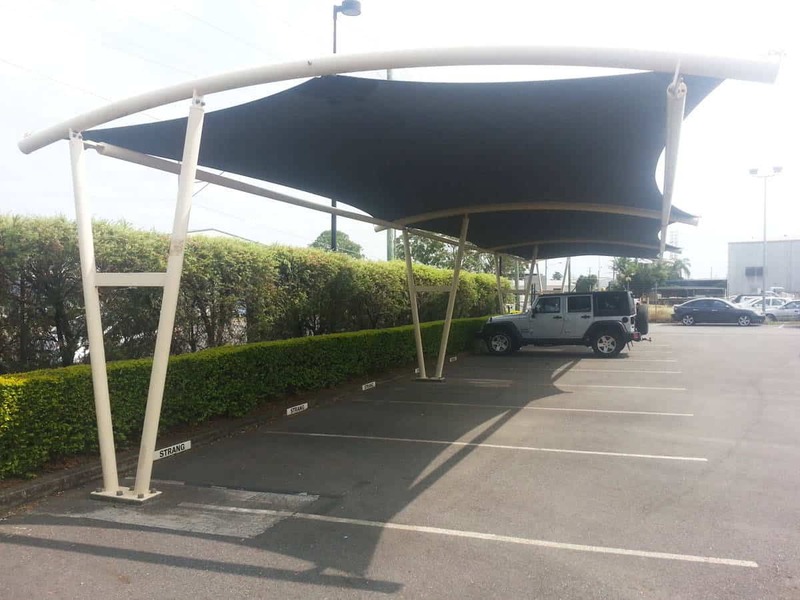 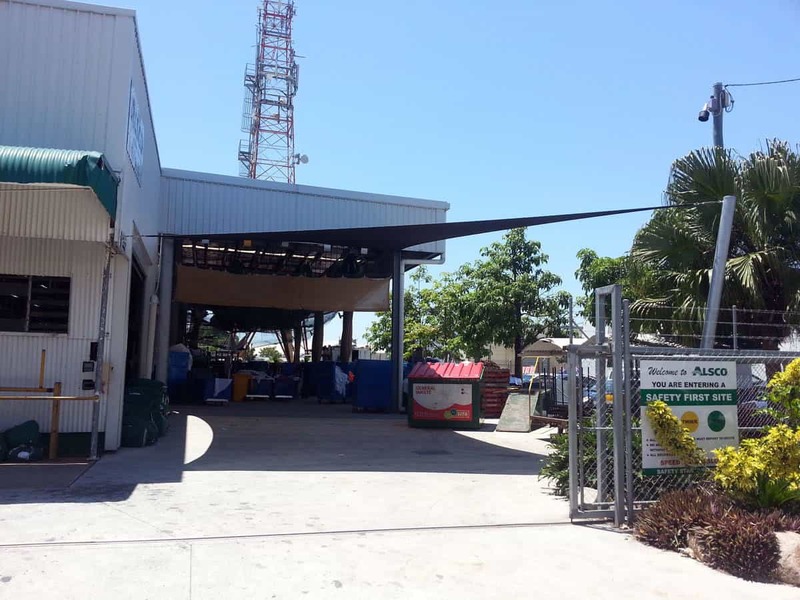 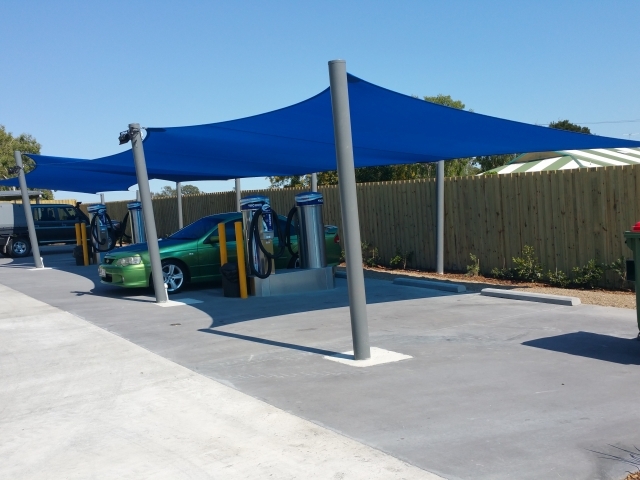 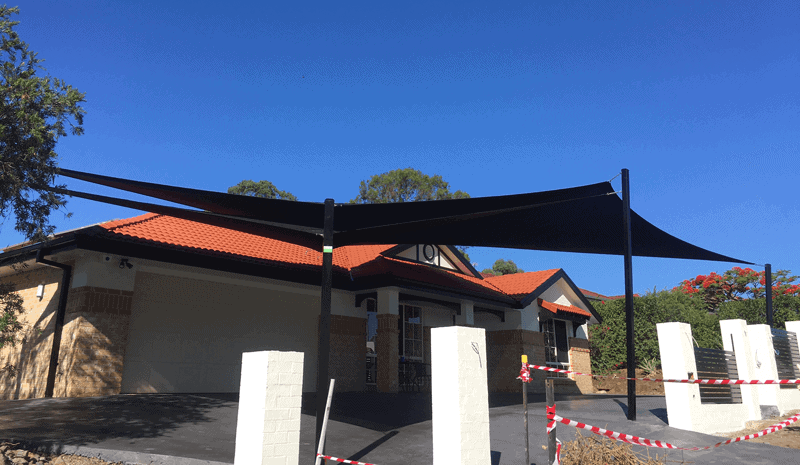 Chermside – Installation of overlapping double shade sails in Charcoal for Carport. 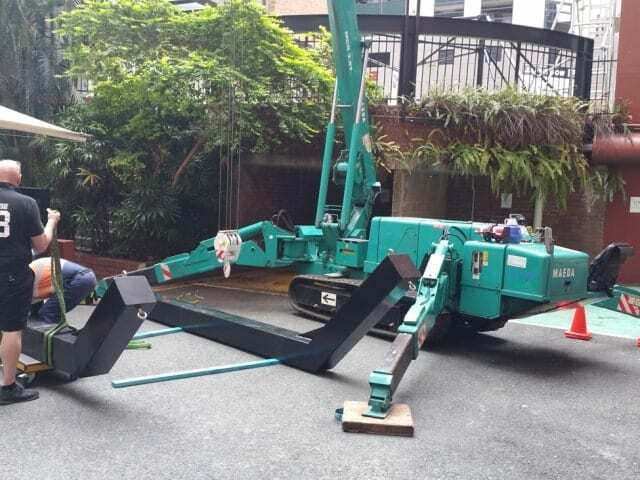 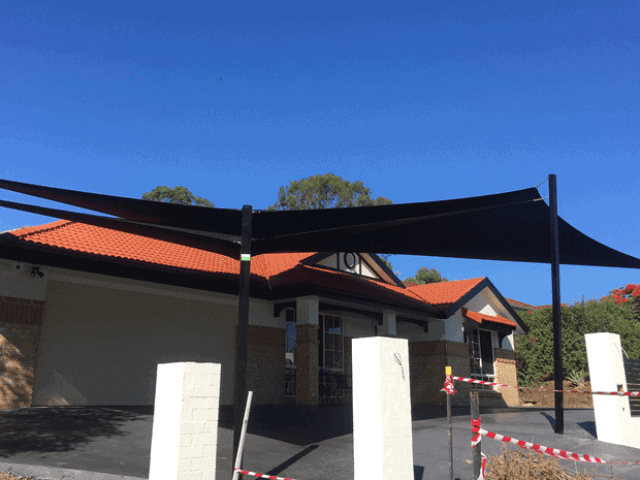 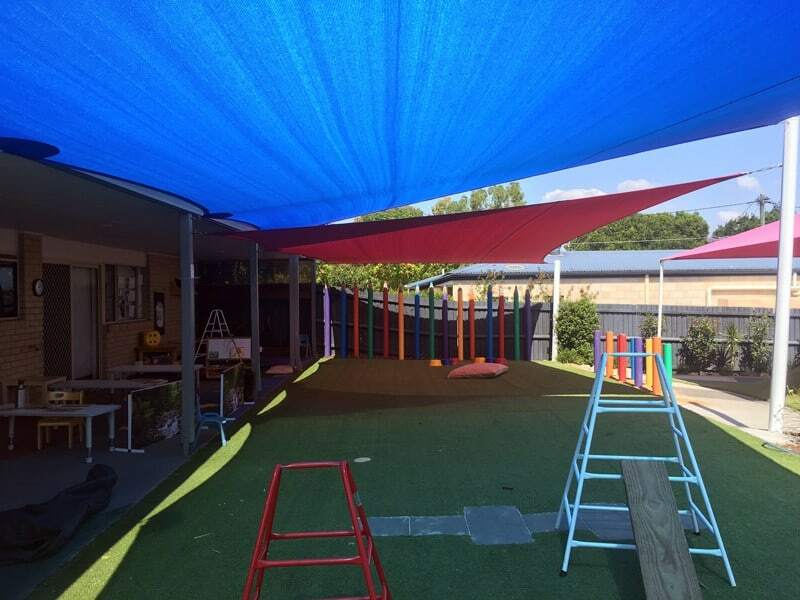 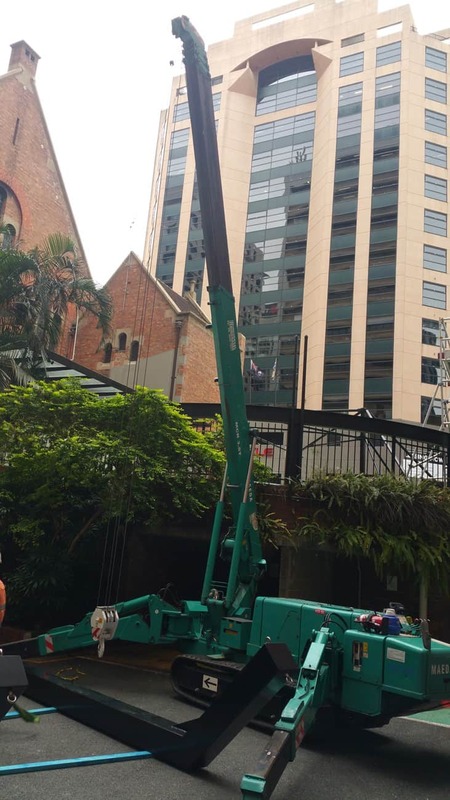 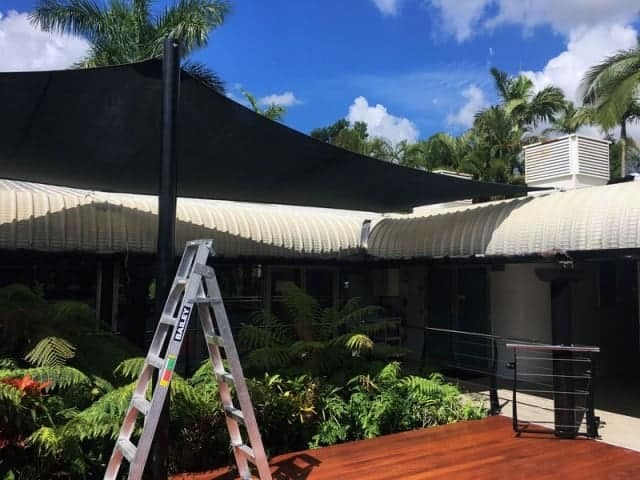 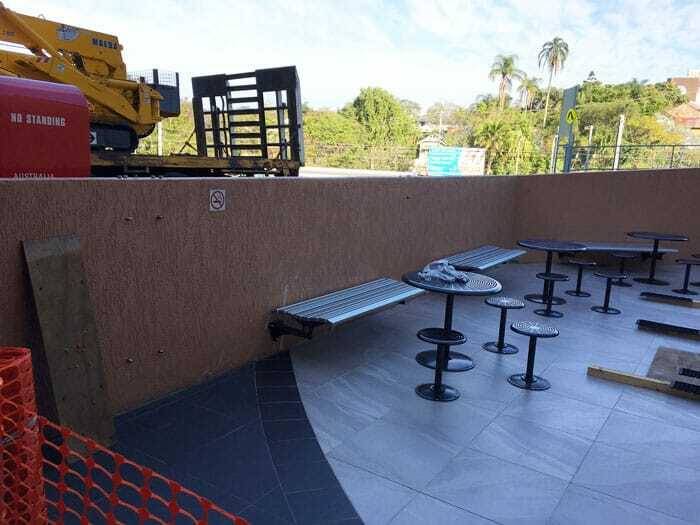 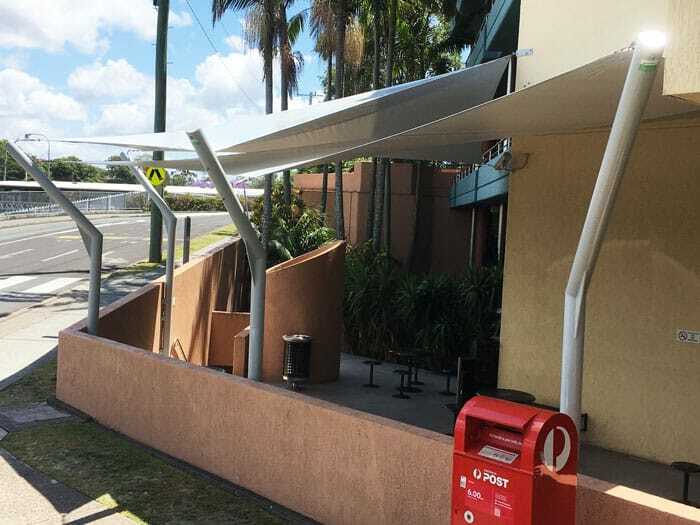 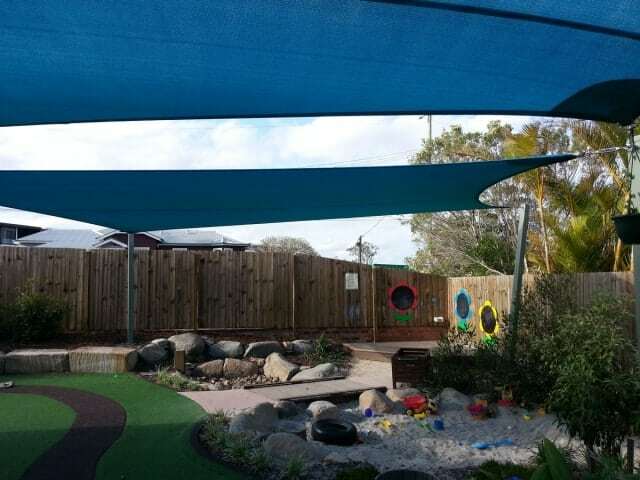 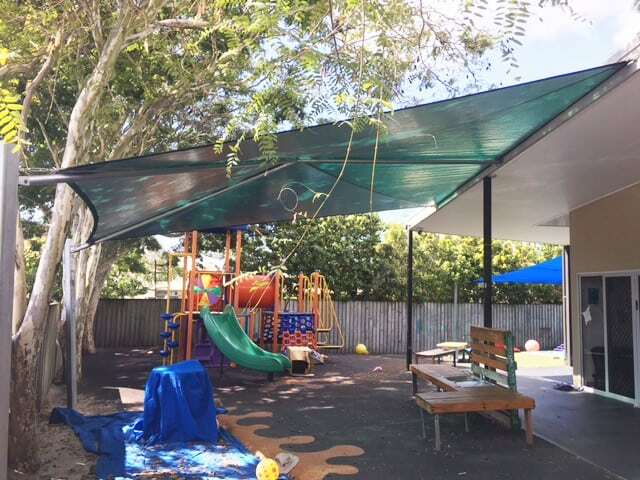 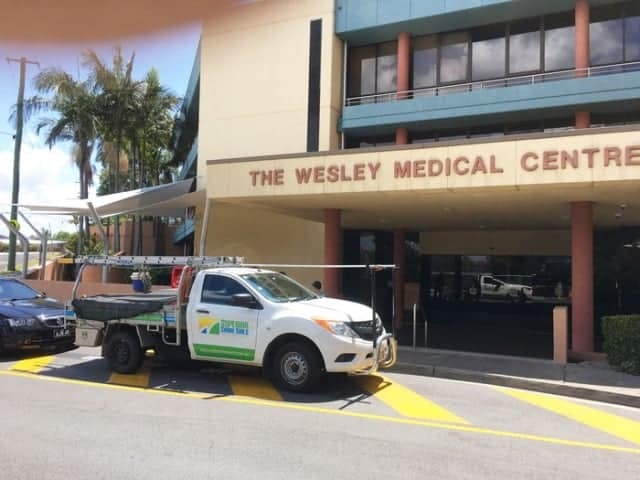 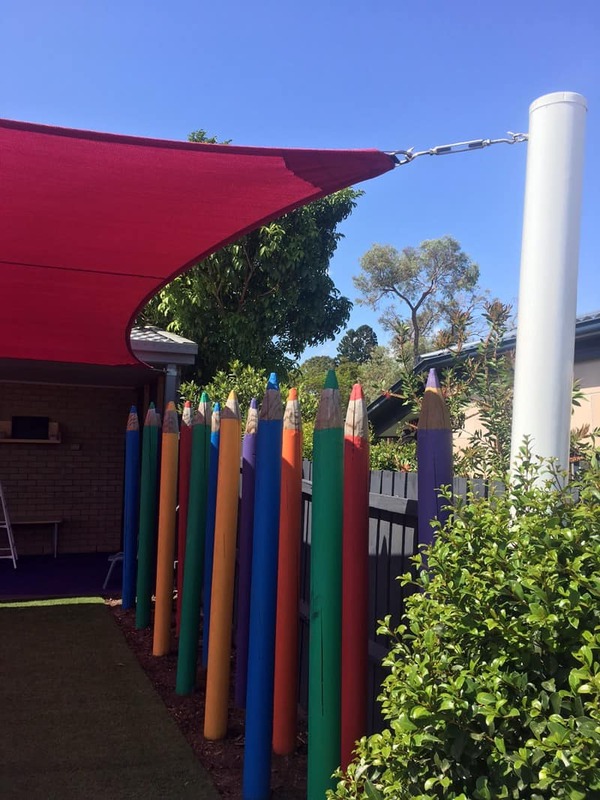 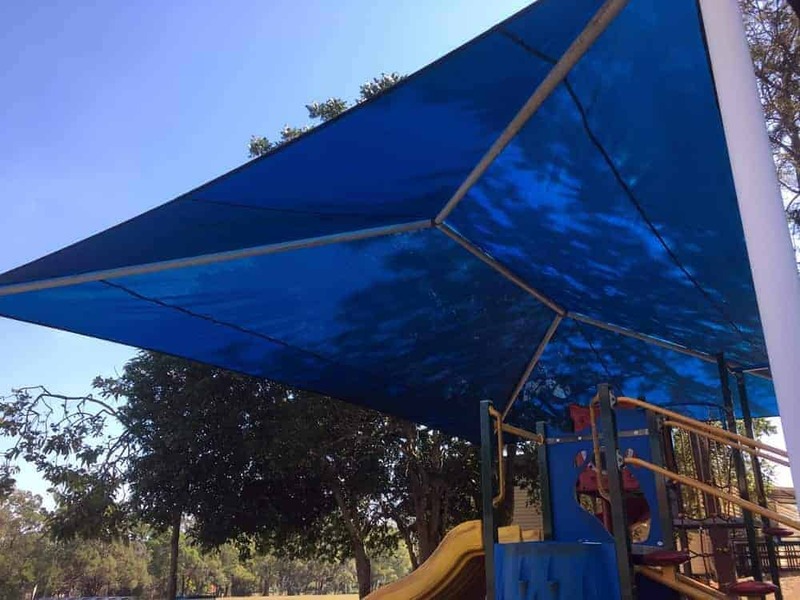 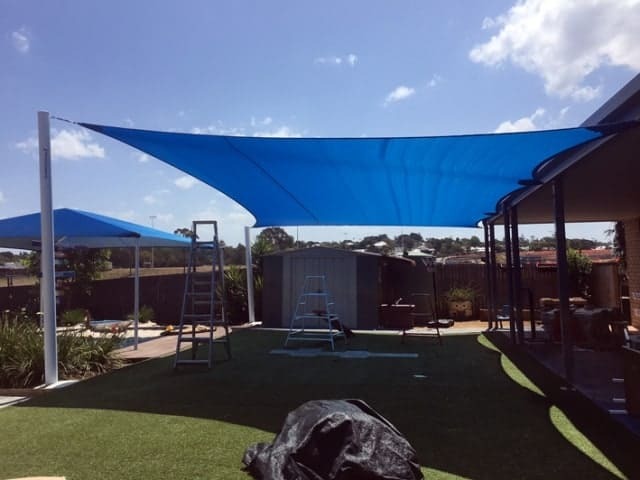 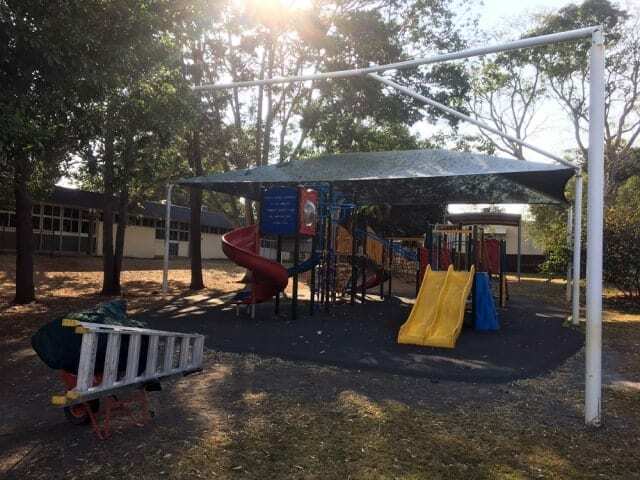 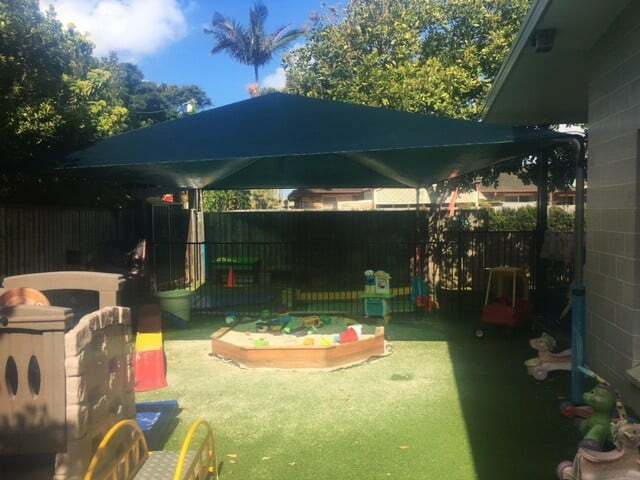 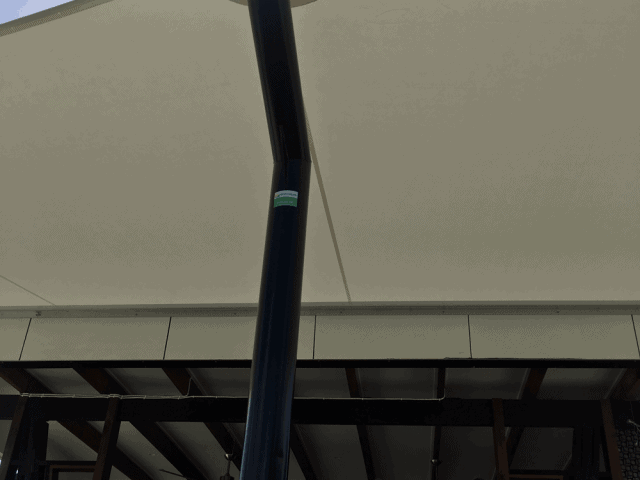 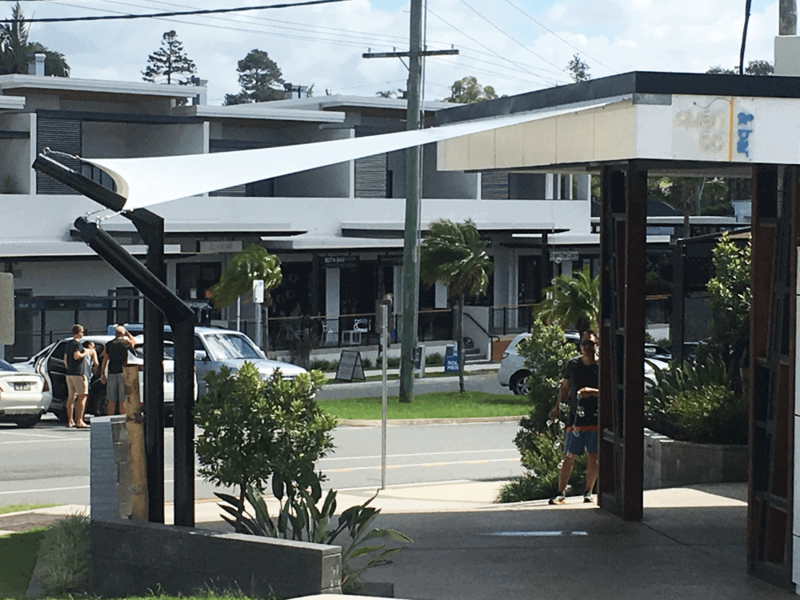 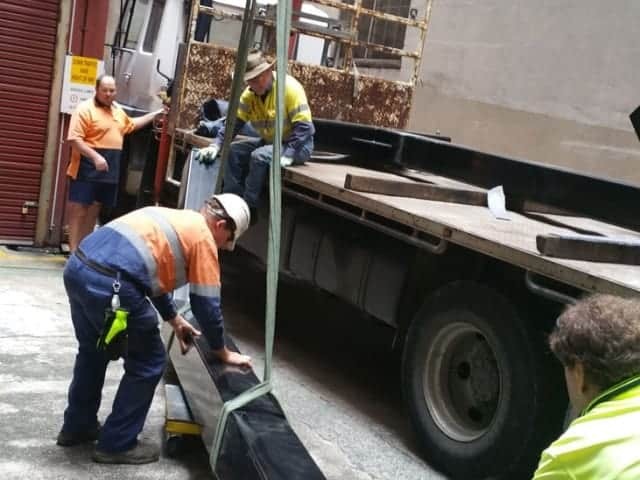 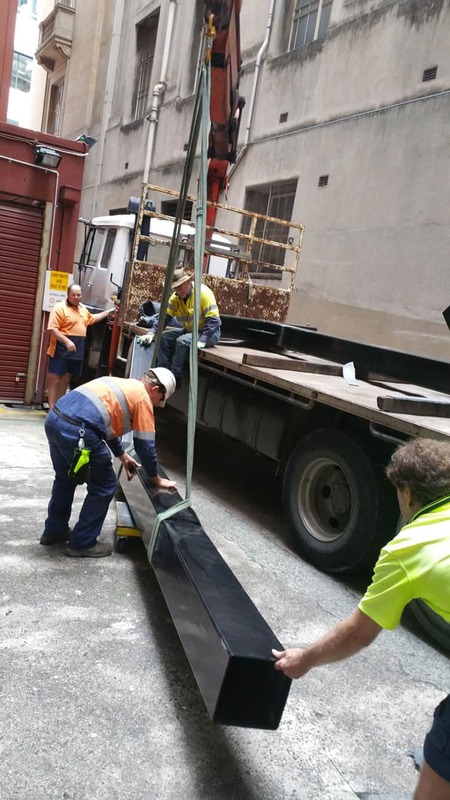 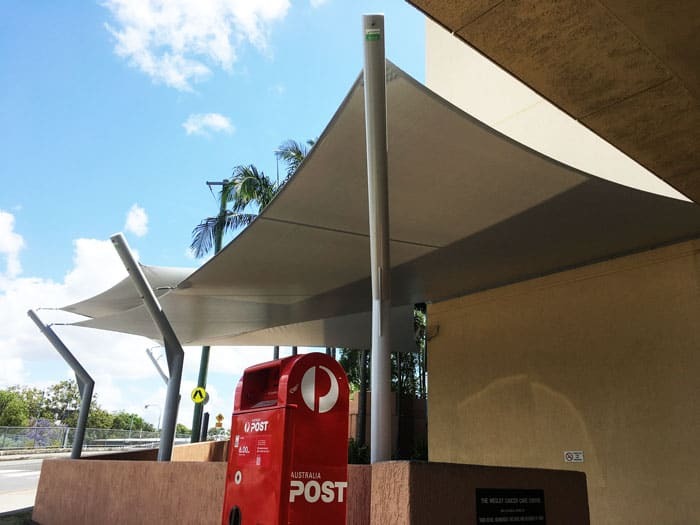 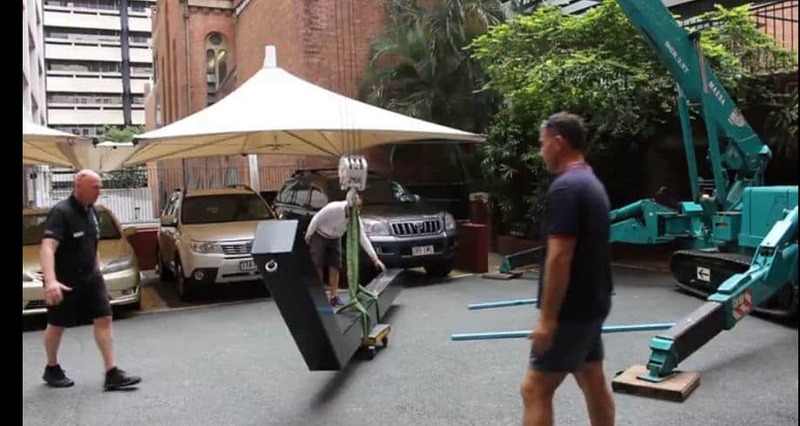 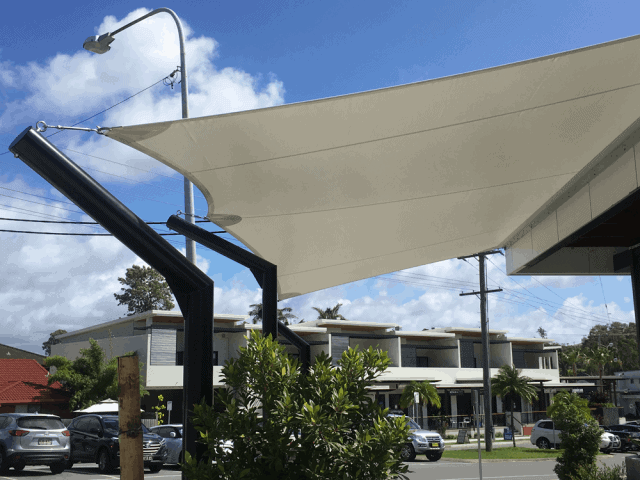 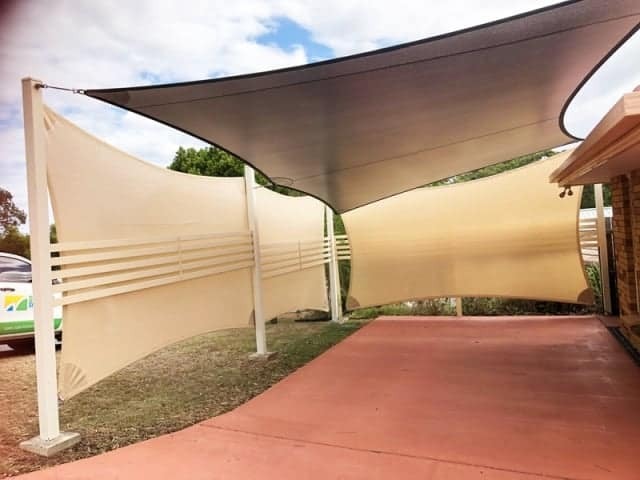 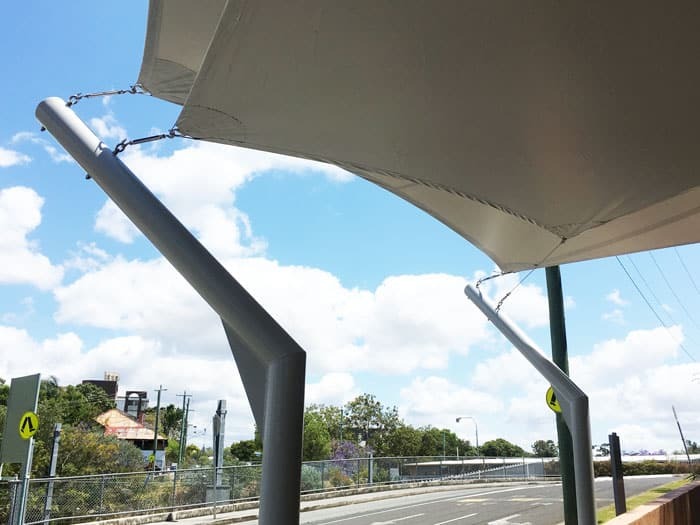 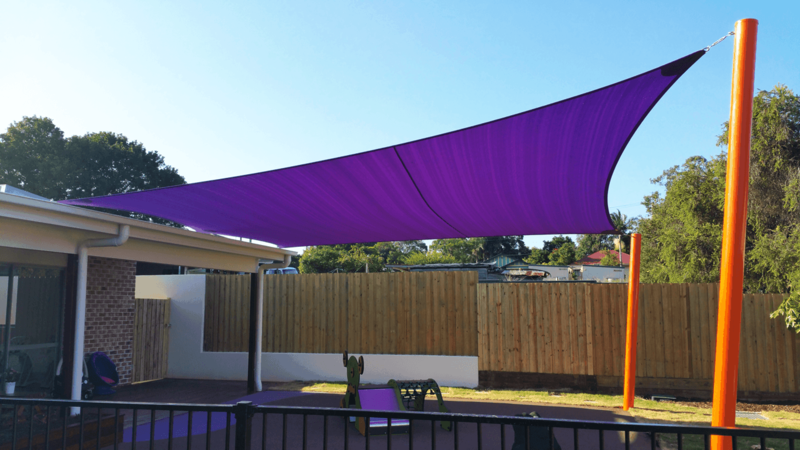 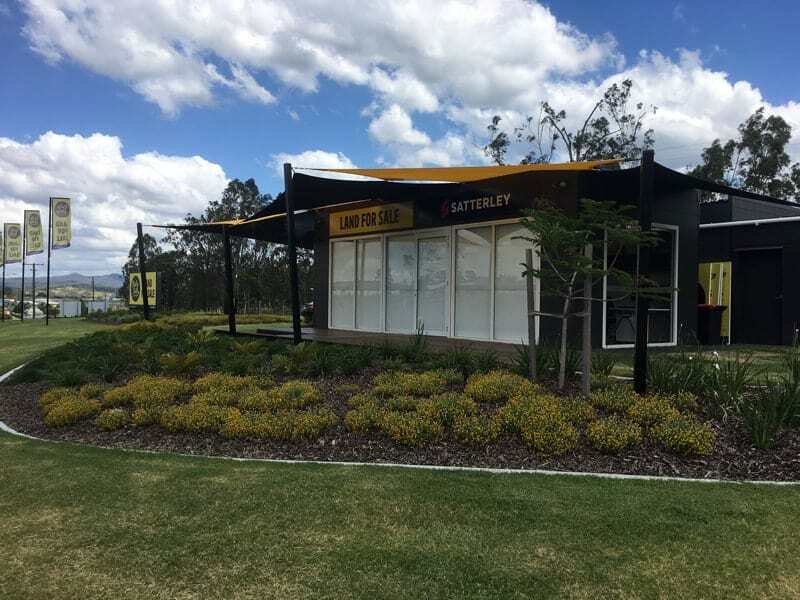 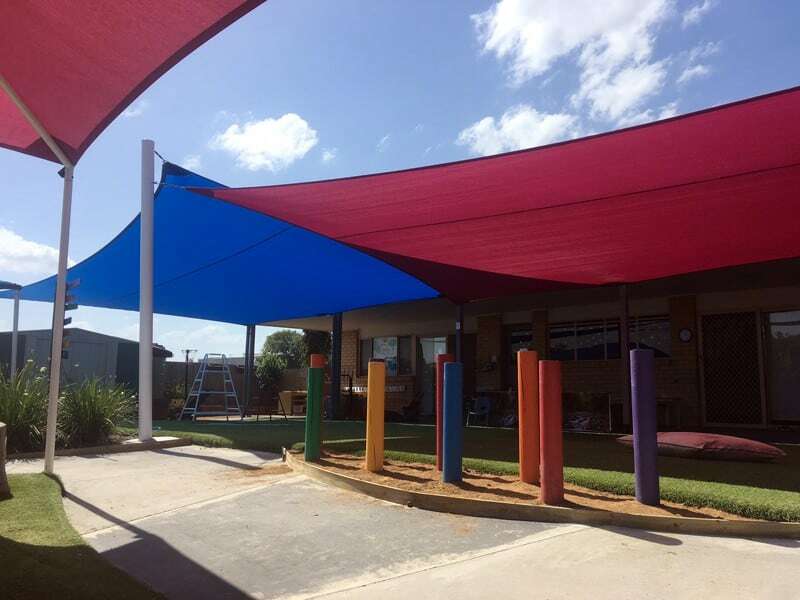 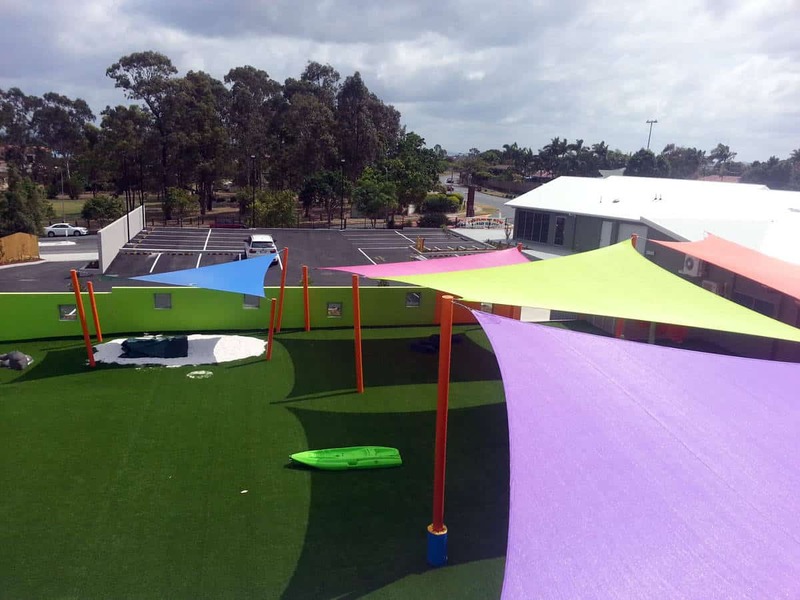 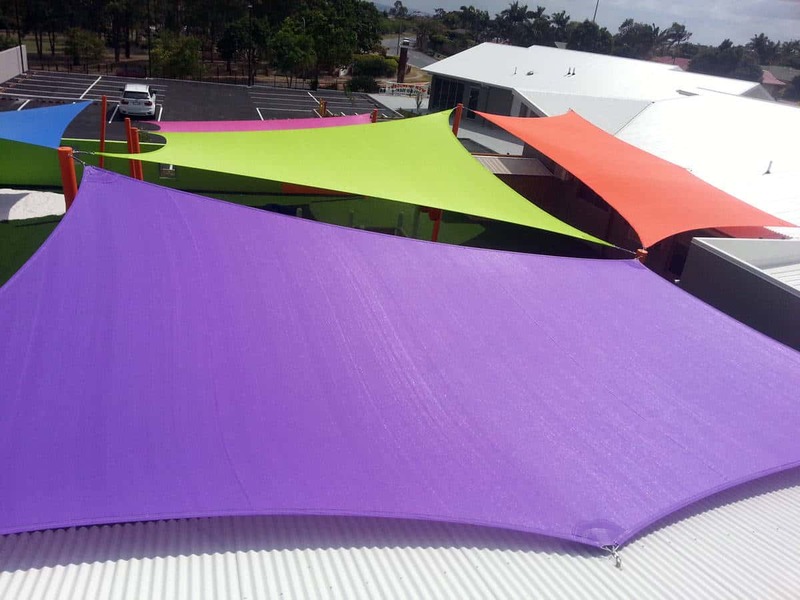 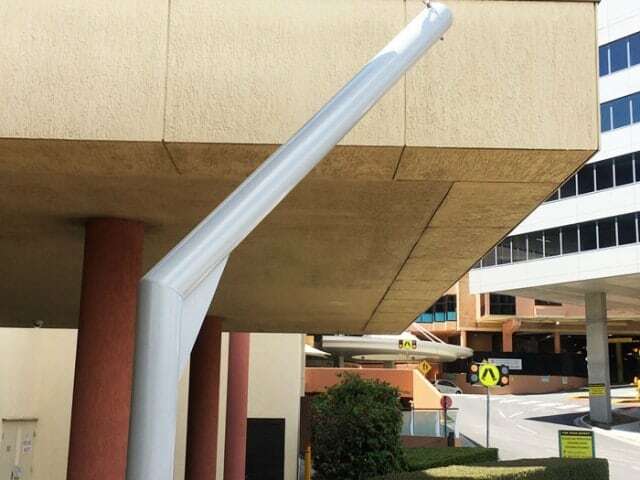 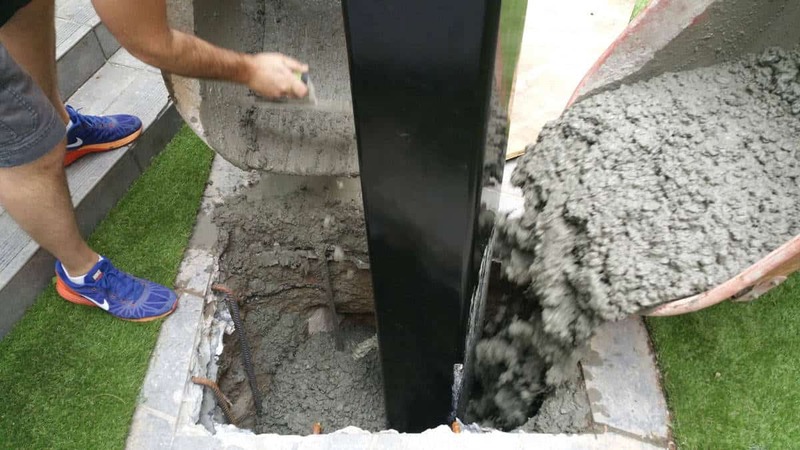 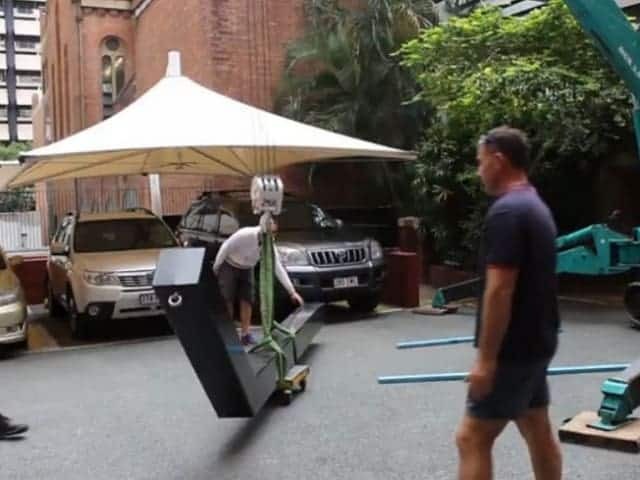 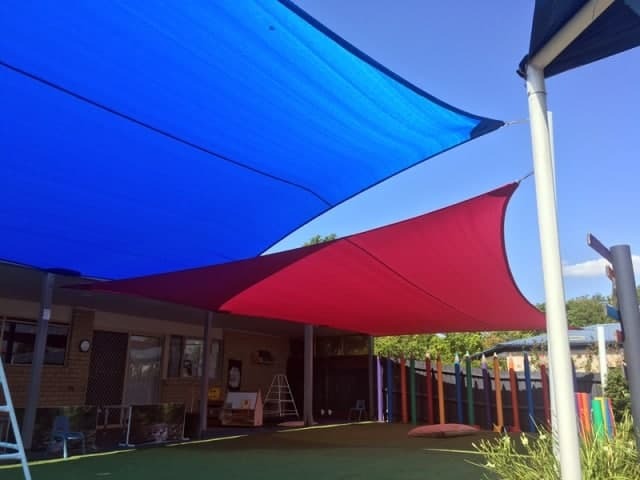 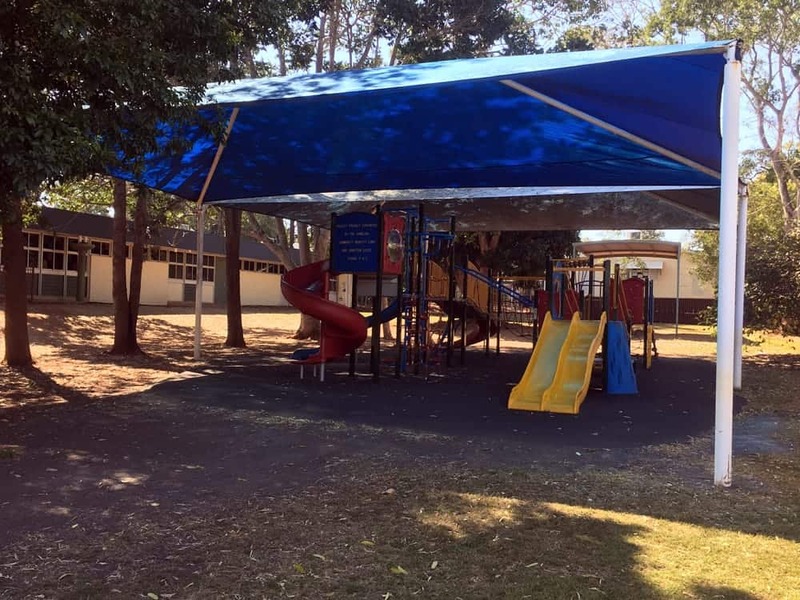 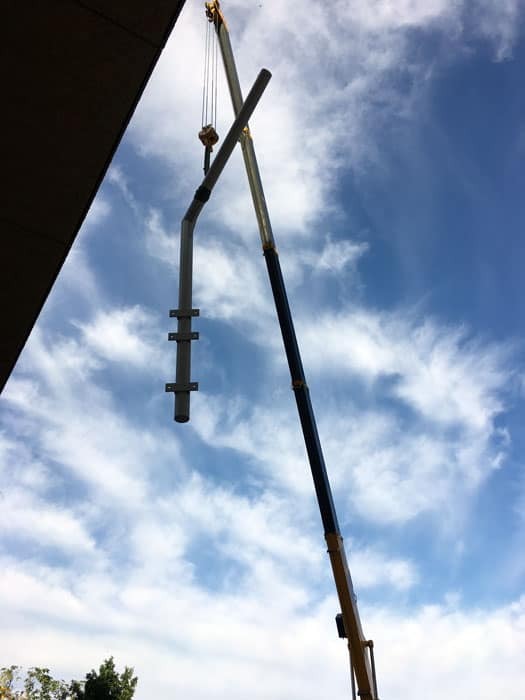 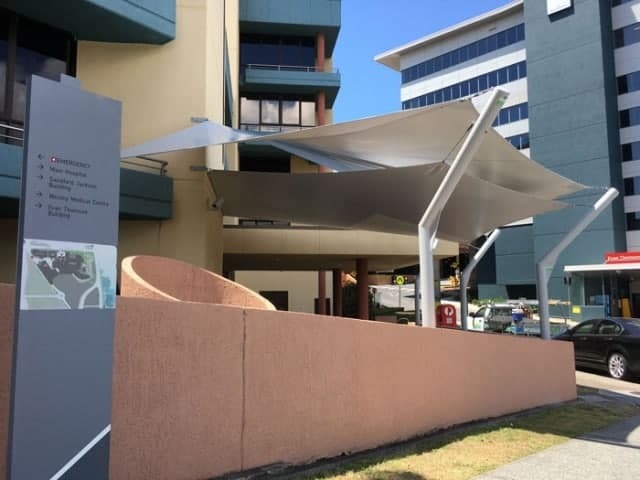 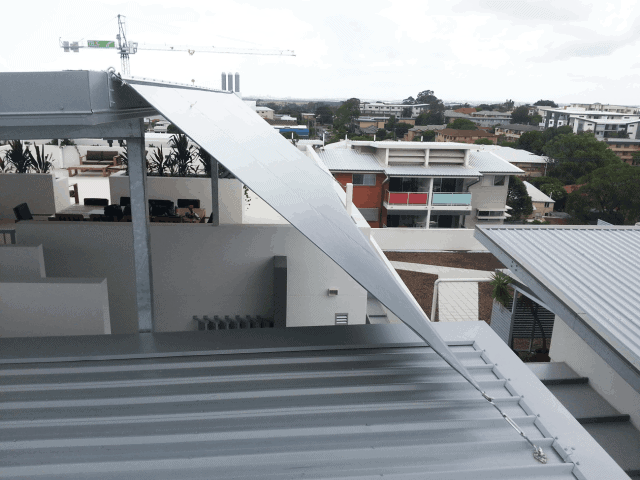 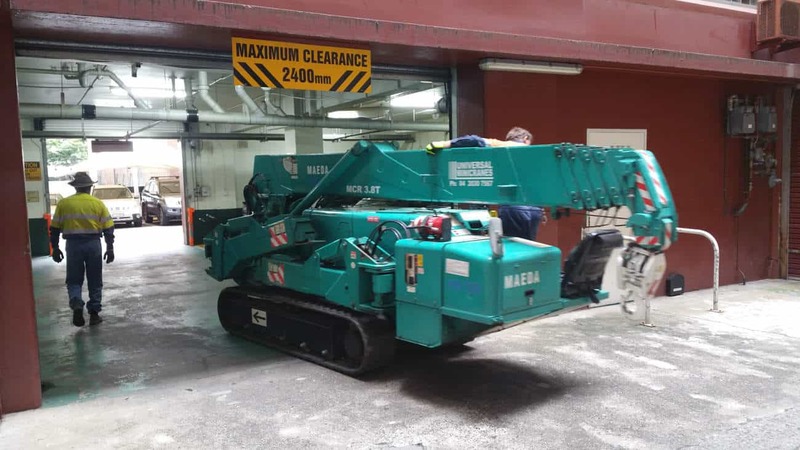 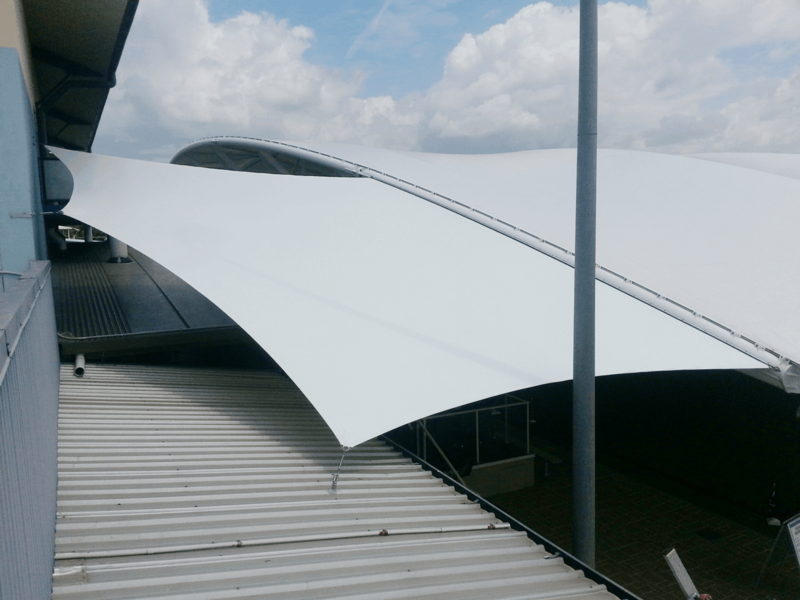 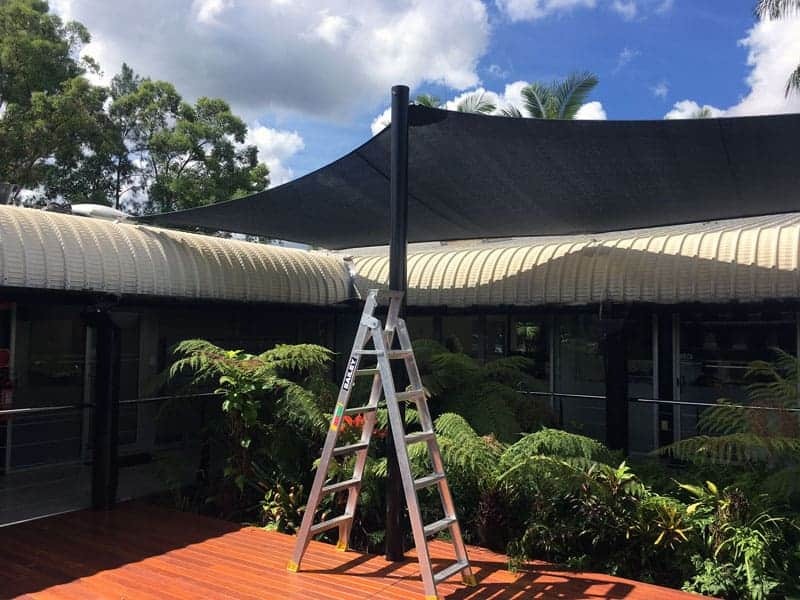 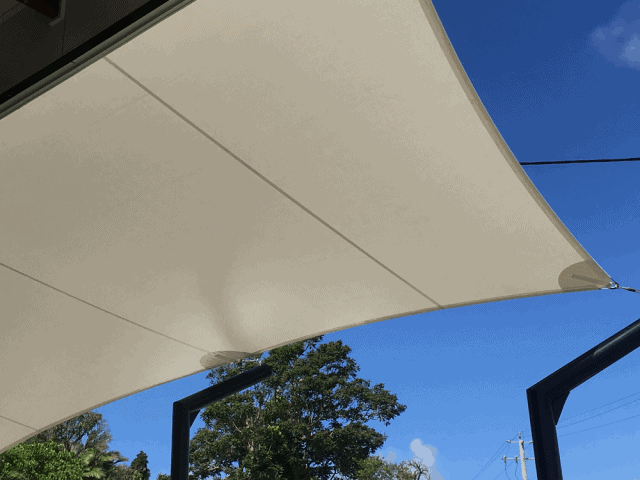 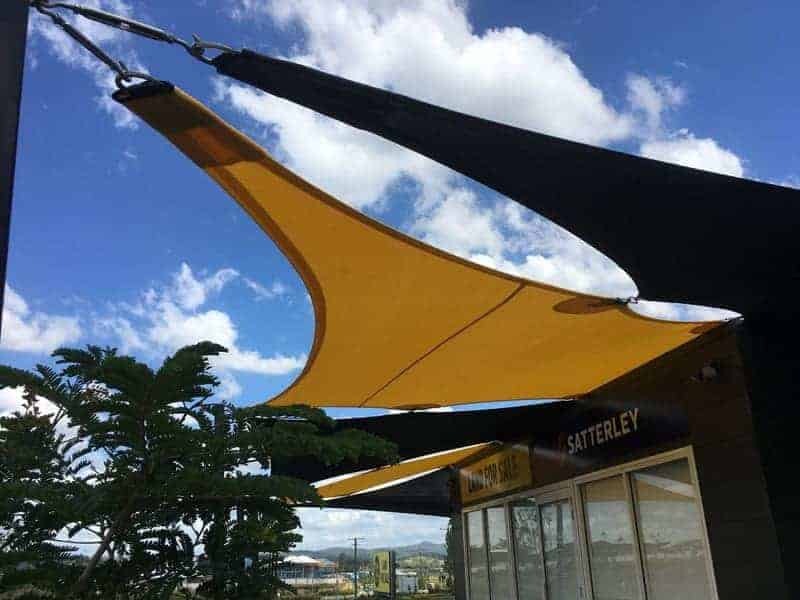 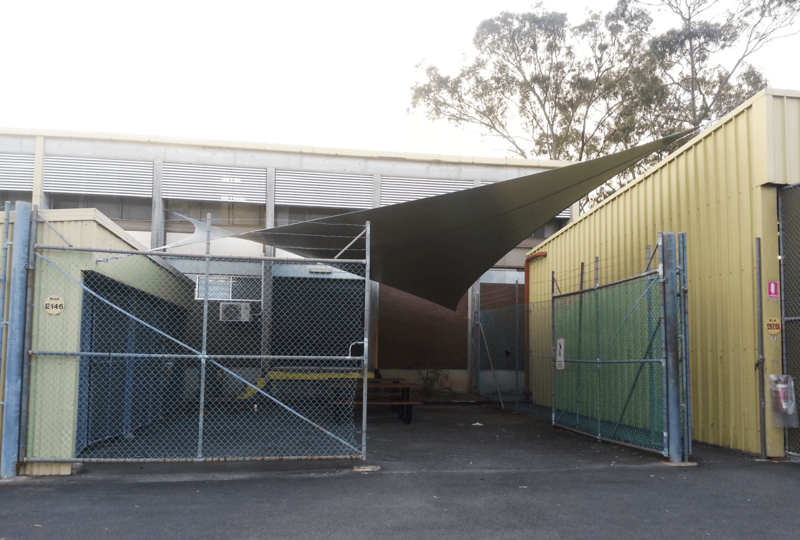 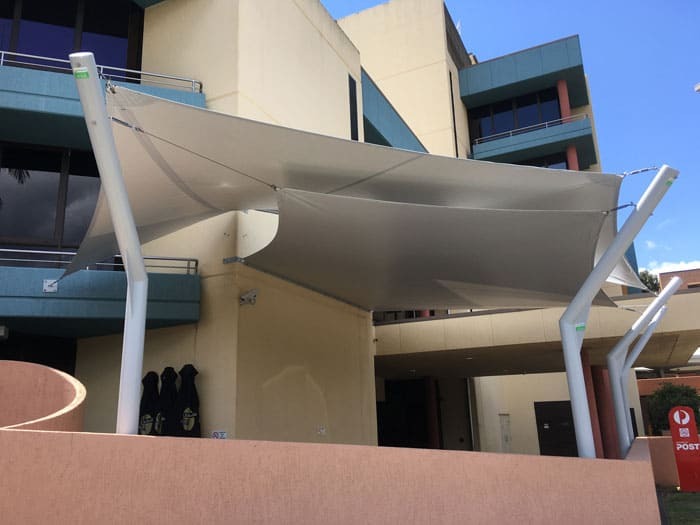 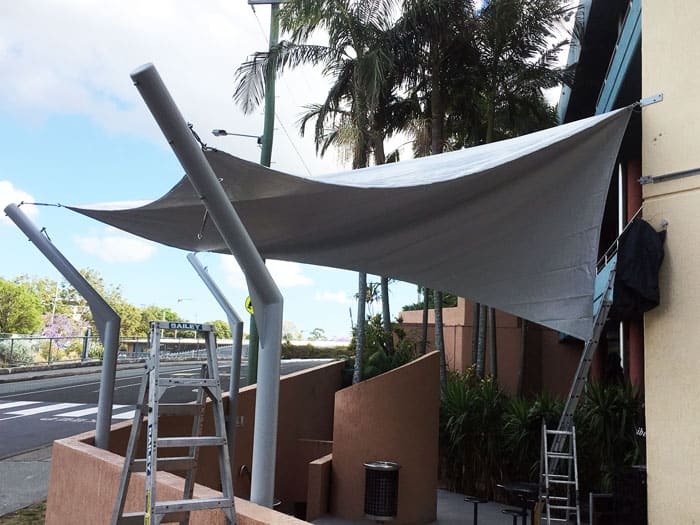 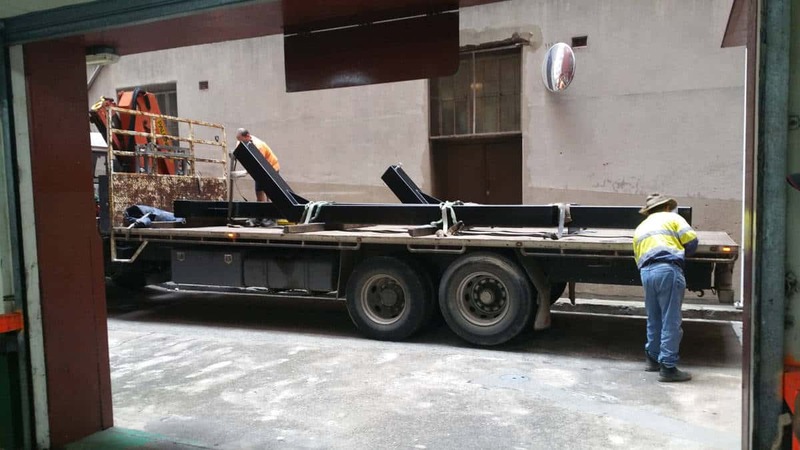 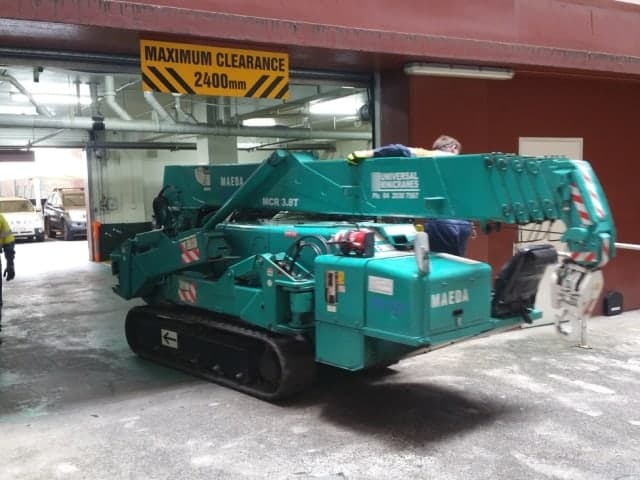 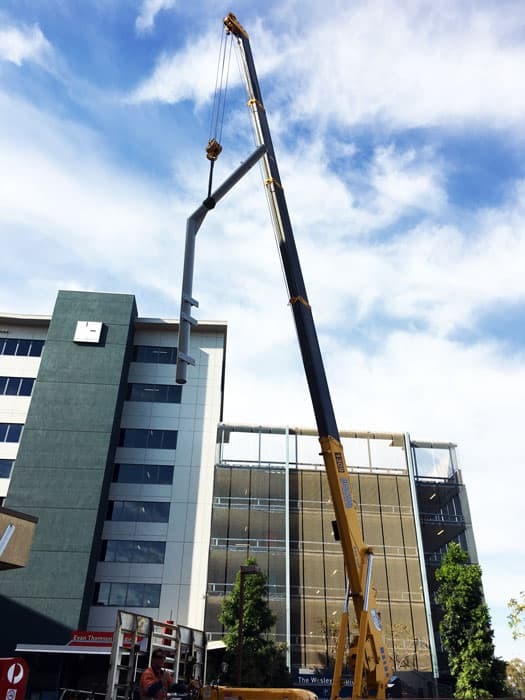 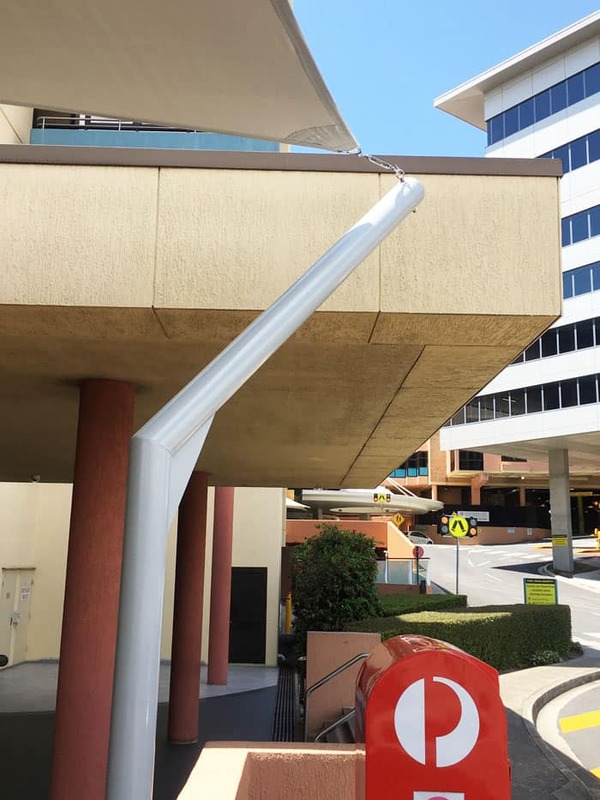 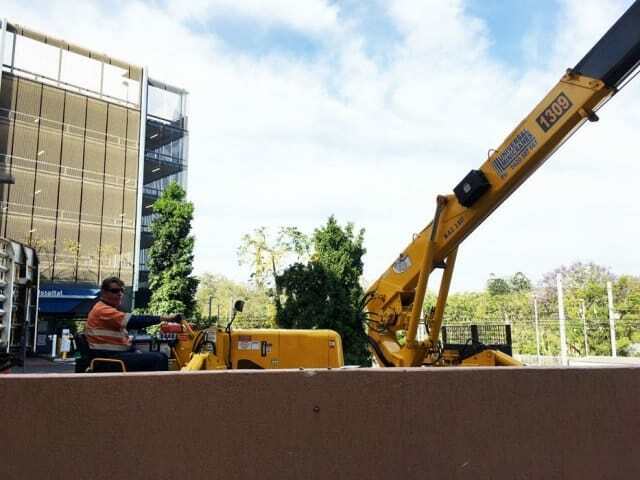 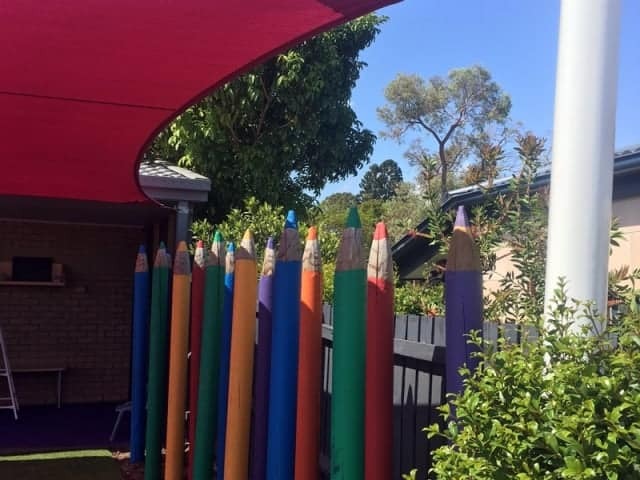 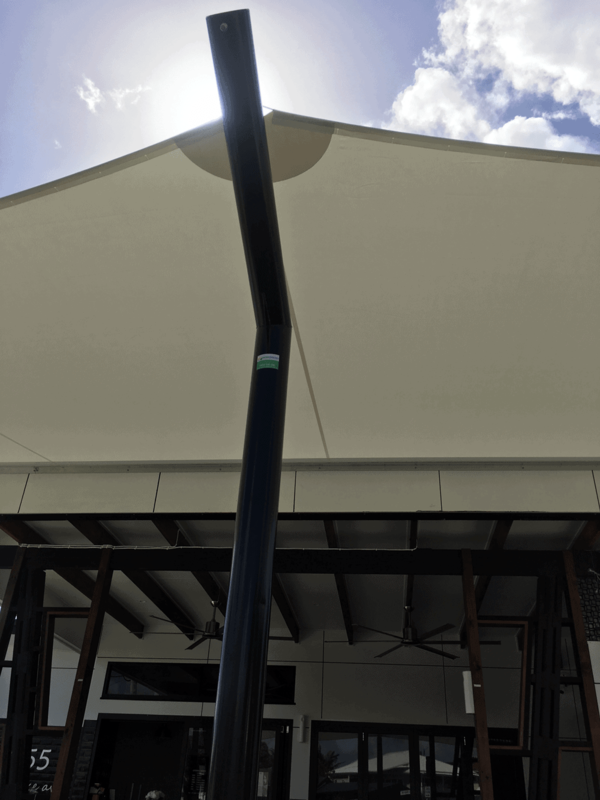 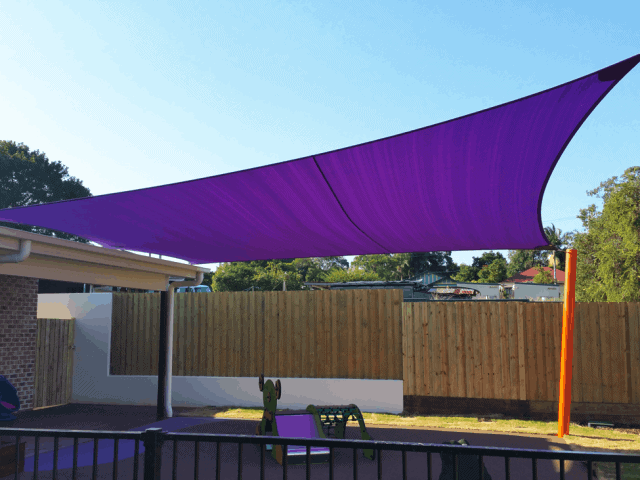 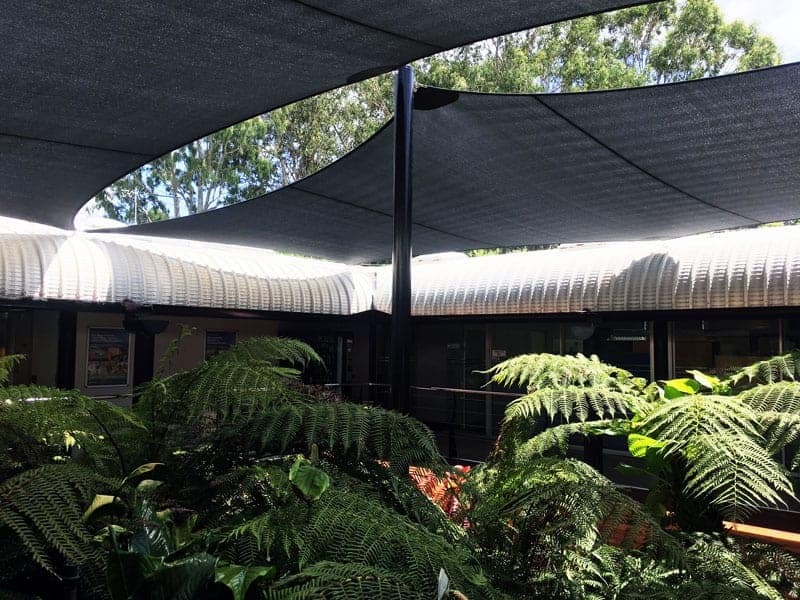 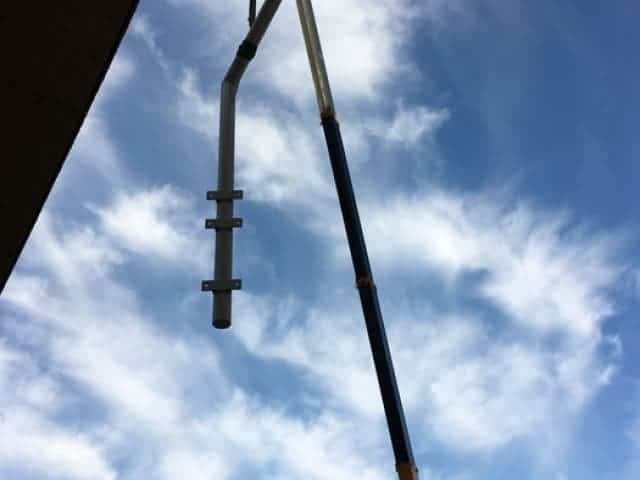 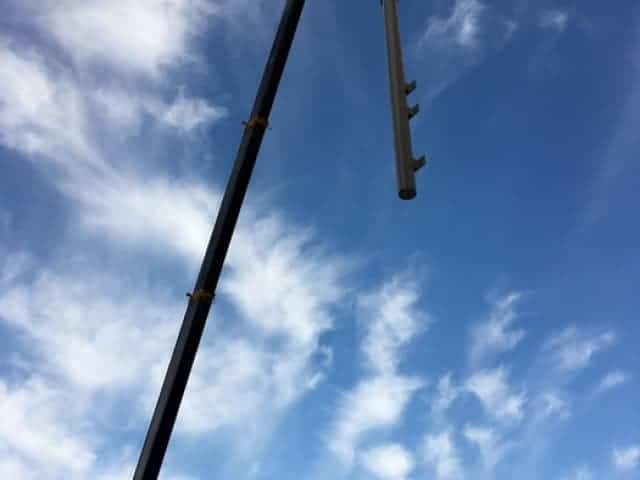 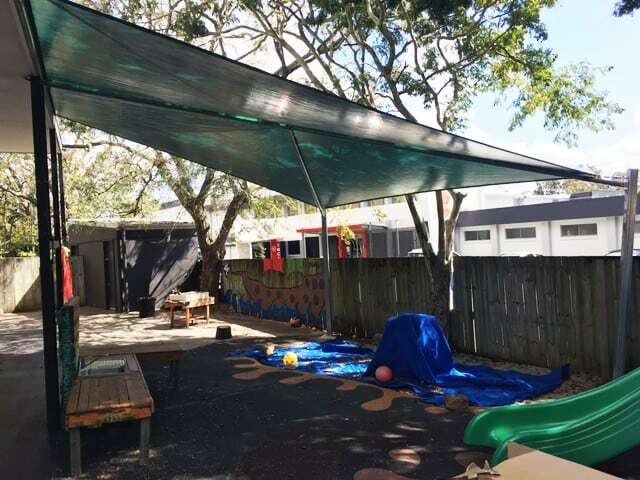 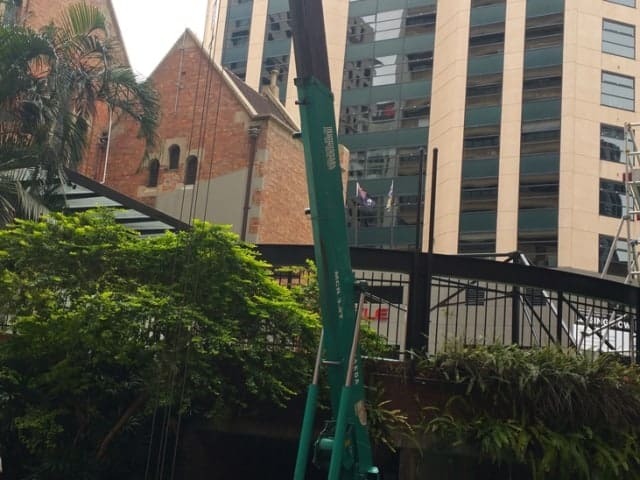 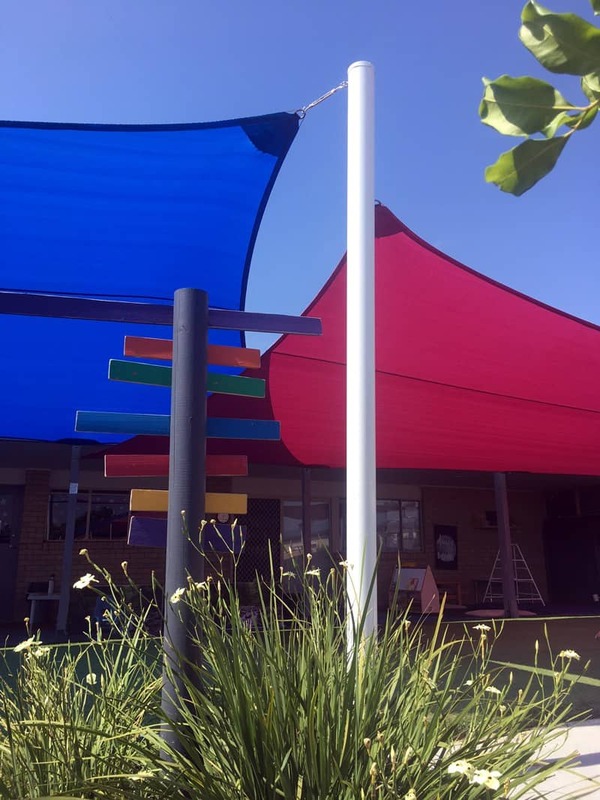 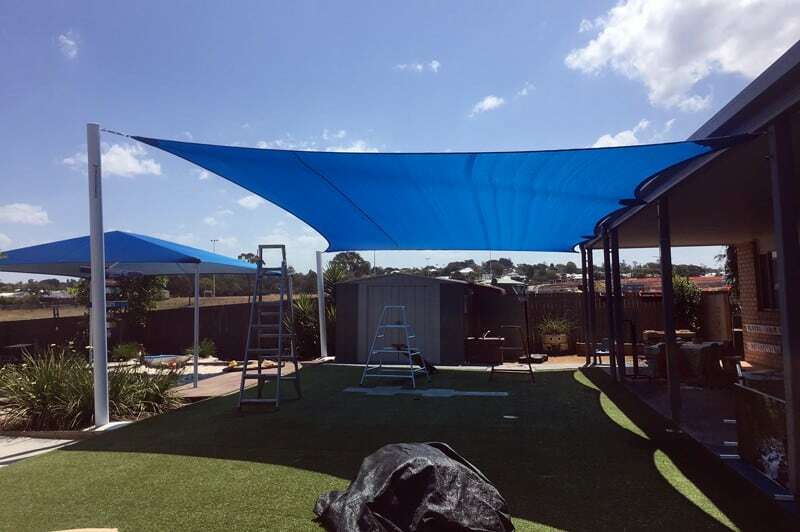 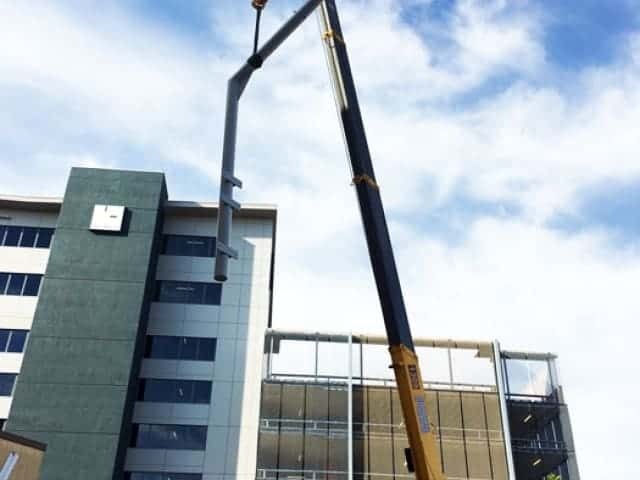 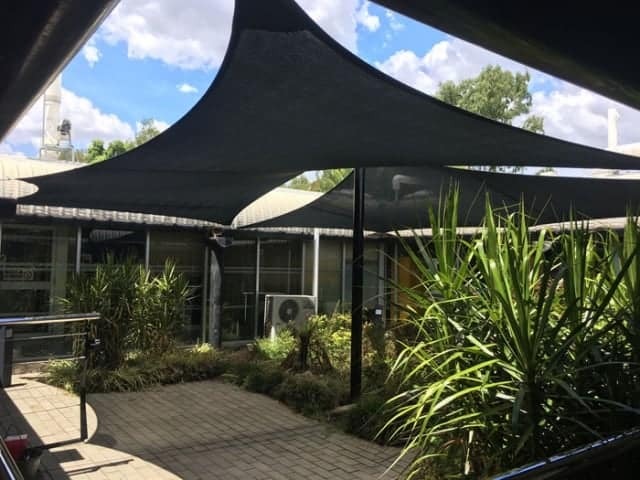 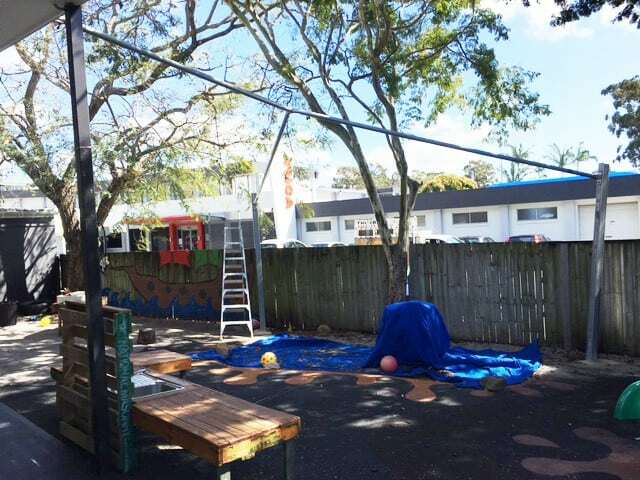 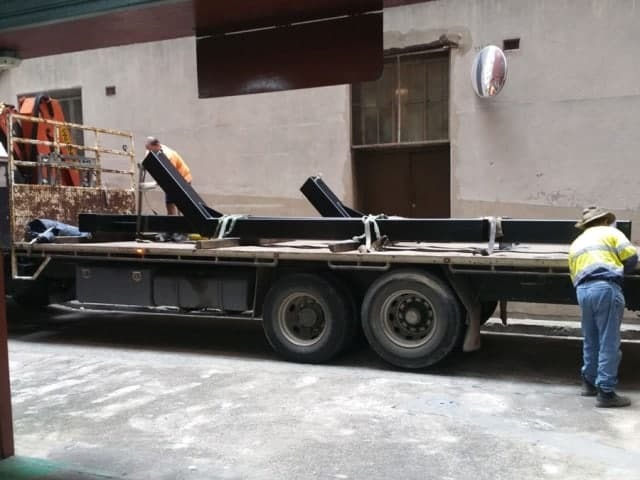 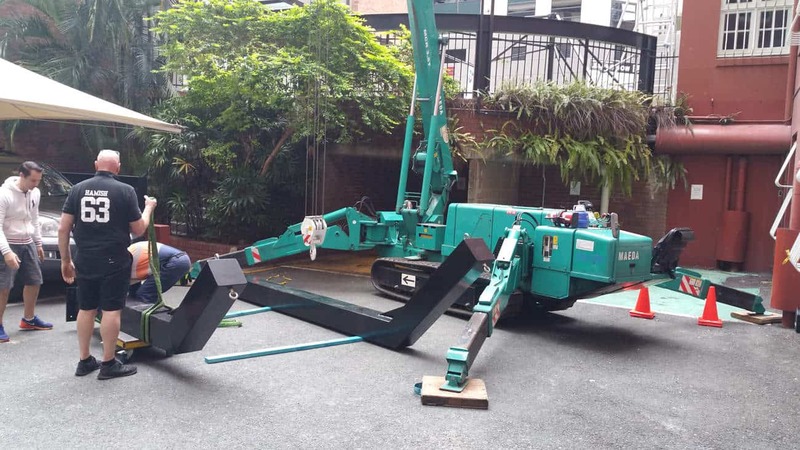 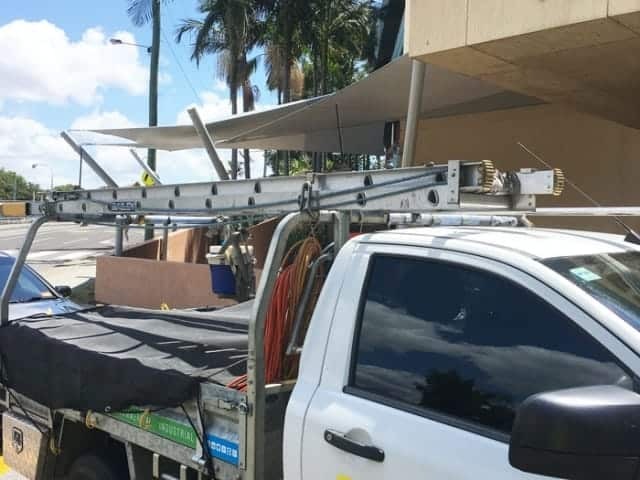 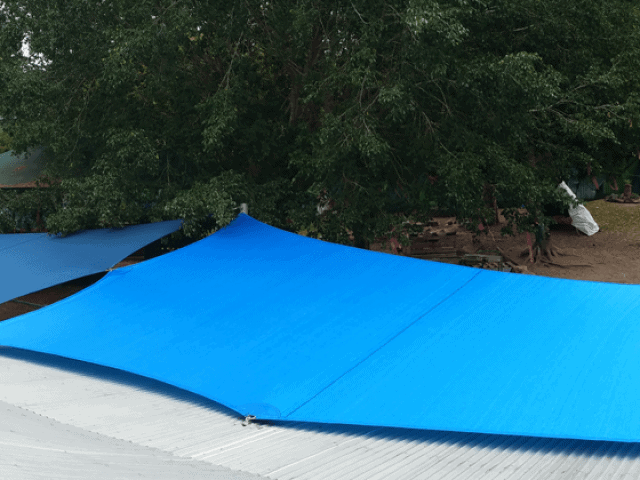 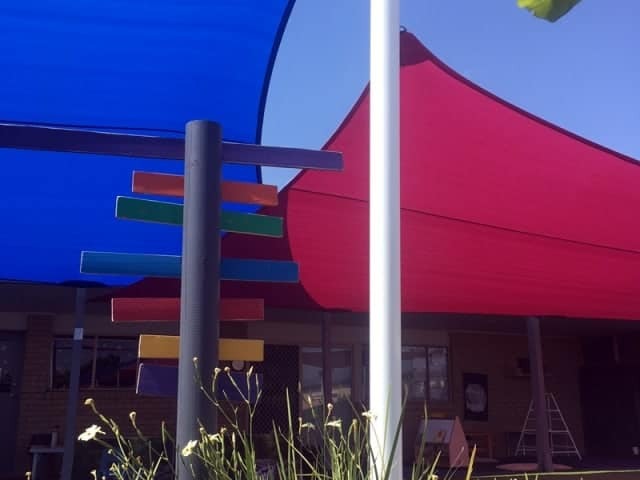 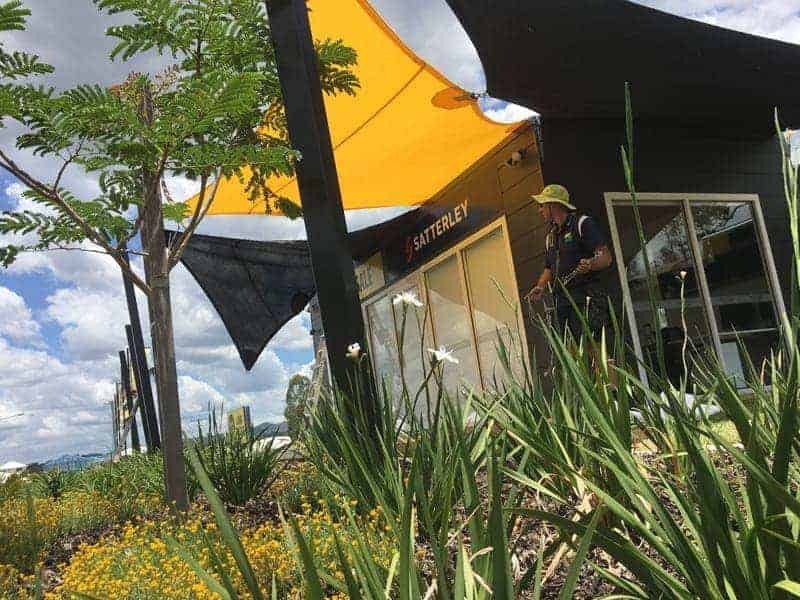 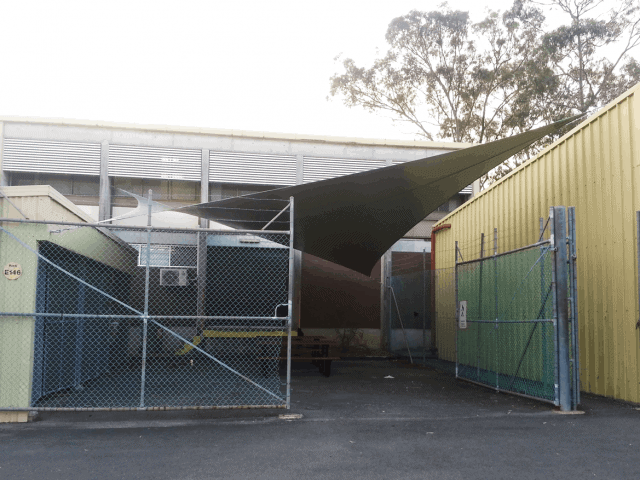 Qld Government State School – Redland Bay – Replacement Shade Sail caused by a storm.